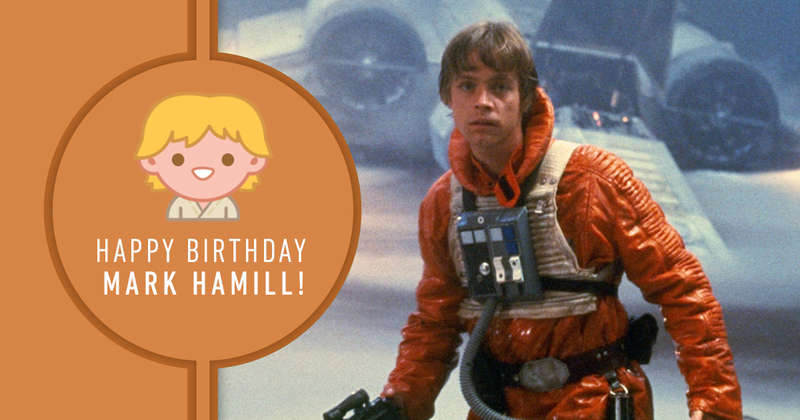 Happy Birthday, Mark Hamill! The actor turns 66 today. Born in 25th September 1951, Mark was raised in California by his parents Virginia and William. The actor was one of seven and moved often due to his father’s station in the military. However, he came to enjoy acting during his youth and chose to pursue the profession as he majored in drama at Los Angeles City College. The actor’s first roles found him on television series like General Hospital and The Bill Cosby Show. However, there is undoubtedly one role that fans know him best for. Mark was cast in Star Wars after he auditioned for a role in Apocalypse Now and caught the attention of George Lucas. 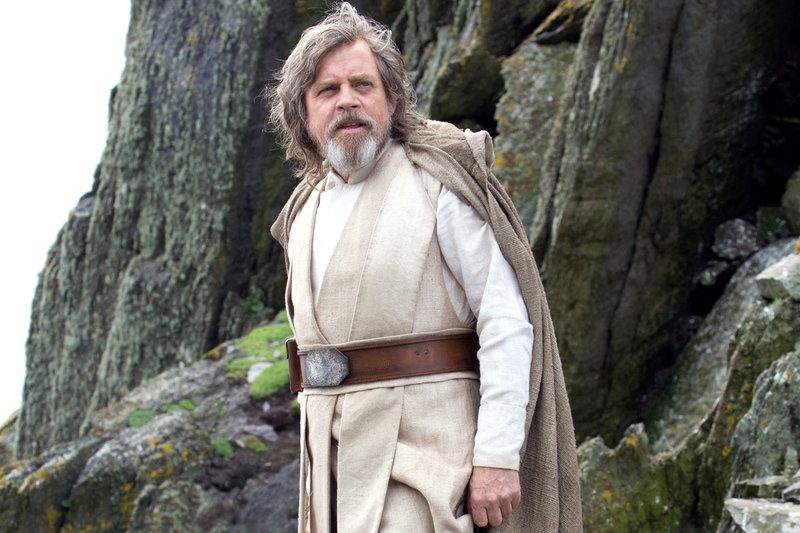 He nabbed the starring role of Luke Skywalker, and the film’s unprecedented success launched Mark into global stardom. He reprised his role through the original Star Wars trilogy and brought Skywalker back to theaters when Disney announced they were pursuing new films alongside Lucasfilm. 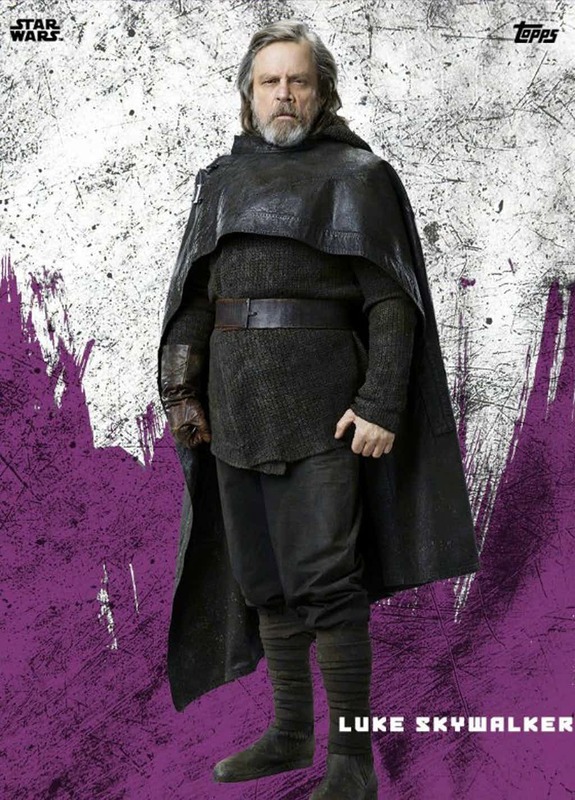 Mark Hamill as Luke Skywalker in the Star Wars saga. Aside from Star Wars, Mark has an extensive resume of on- and off-screen projects. Most famously, Mark is known for voicing the Joker in various animated Batman features as he played the villain on Batman: The Animated Series. He recently reprised the role in Batman: The Killing Joke, a full-length animated featured based on an eponymous graphic novel. Happy birthday, Mark! May the Force be with you! The Force Awakens introduced audiences to a new era of Star Wars, including a bevy of new characters of varying allegiances, from Rey to Kylo Ren. There were a few moments of peril and destruction, most notably killing off Han Solo, but outside of a few Resistance pilots (and everyone in the Hosnian System), all of the new characters made it out alive. 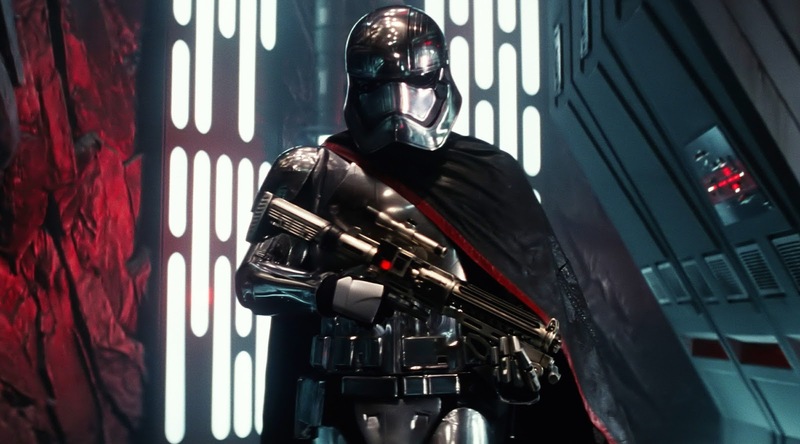 With everyone set to return for The Last Jedi, almost everyone is also carrying an element of the plot or backstory forward, except for one: Gwendoline Christie’s Captain Phasma. 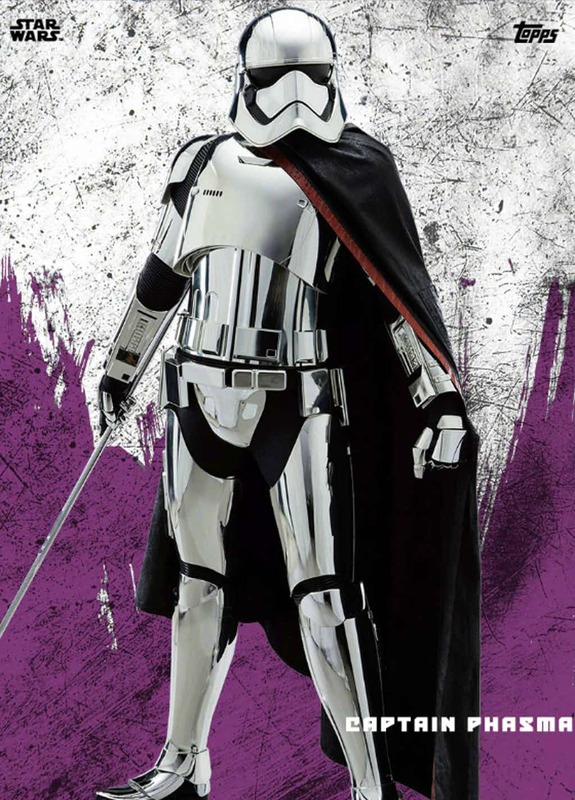 Despite her awesome chrome stormtrooper armor and intimidating demeanor, almost nothing is known about Phasma, partially because she has very little screen time to establish any kind of backstory. That all changes with Phasma by Delilah Dawson, a new novel in the Journey to The Last Jedi series of tie-in stories that tells most of the First Republic Captain’s life story leading up to within a few years of The Force Awakens. While Phasma is fairly thorough, it’s important to point out that the story is being told by a questionable narrator – a captured Resistance spy name Vi Moradi who got all of her information from an old friend of Phasma’s, Siv. Per Vi’s internal monologue, the story is entirely accurate, aside from some slight embellishment, but all her information is second hand from Siv. So, while this bit of Star Wars canon is fairly well documented, there’s always a good chance that things didn’t play out exactly as described. Even so, it was probably pretty close. The planet Parnassos was once lush and green, teeming with all manner of wild species and ripe for farming – until the arrival of Con Star Mining. Arriving as many as several hundred years before the events of the Star Wars movies, Con Star’s Parnassos endeavors were intended to improve the lives of their employees and those that lived on the planet, but some combination of shoddy work and lax regulation resulted in a nuclear explosion at one of their cities, destroying all life within the blast radius and leaving a nuclear fallout that would slowly expand across more of the planet, poisoning the air and killing animal and plant life. Con Star abandoned Parnassos as all the resources were useless. 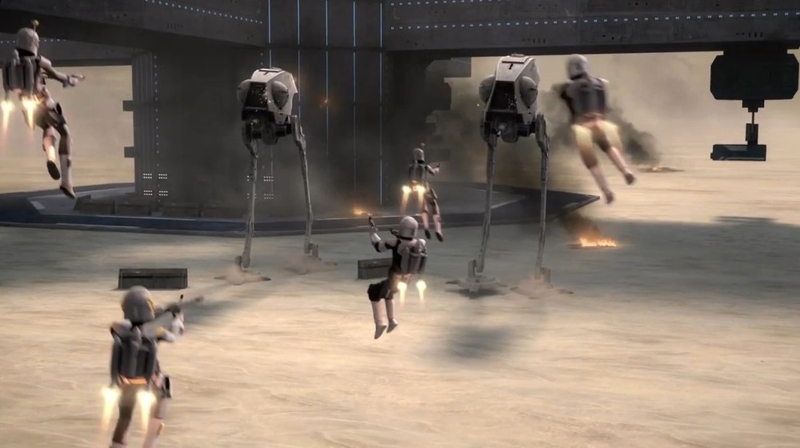 Some of their employees ended their own lives, leaving behind teams of droids to mindlessly continue running any functional stations. Other inhabitants, whether natives, Con Star employees, or some combination of the two lived on, forming tribes and living in primitive isolation until the memory and understanding of advanced technology was little more than legend and the daily struggle for survival occupied most of their waking lives. This is the Parnassos into which Phasma was born. Phasma’s parents and her brother Keldo lived with a small tribe in a cave they called the Nautilus. When she was a young girl, the already scarce sources of food slowly dried up, wounds – even minor ones – would fester and lead to life-threatening infection, and people’s hair began to fall out. Since the Nautilus was one of the few safe havens in the area, other tribes, the Claw and the Scyre, wanted it for themselves. Phasma’s tribe would routinely have to fight off attacks from both the Claw and the Scyre, maintaining control of the Nautilus, but slowly decreasing their already small numbers. Phasma urged her family to unite with the Scyre to form a larger group that could continue to fight off the Claw, but they refused. Eventually, behind their back, Phasma made a secret agreement with the Scyre. One night, she attacked her brother Keldo, stabbing him in the leg and pushing him into the Nautilus, and when he woke up, he and Phasma were the only survivors, and the Scyre had taken over. His leg had to be amputated to avoid infection, but the Scyre had a special oracle salve – harvested from the bodies of their fallen in a sort of pseudo-religious ceremony using devices called “detraxors” – that could be applied to fresh wounds to allow it to heal properly. Keldo and Phasma only needed to pledge their loyalty to the Scyre, which they did. 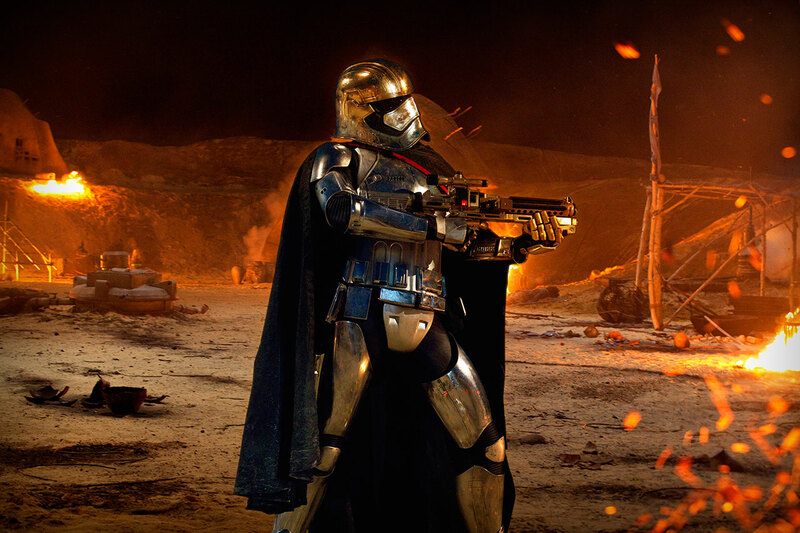 As a member of the Scyre, Phasma grew into a mighty warrior, both in size – she was one of the tallest people in the Scyre – and skill, regularly leading her own elite warriors in combat against the Claw or on scavenging missions. Keldo, too, became a significant part of the Scyre. 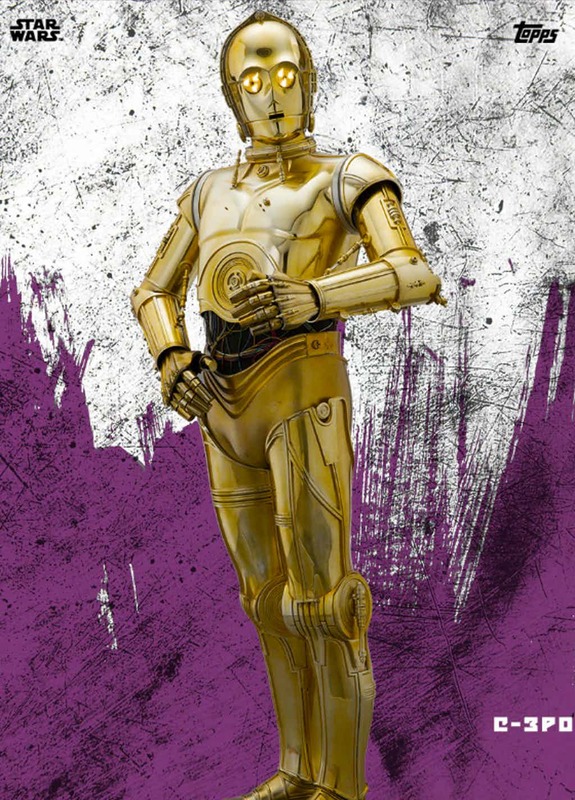 While he was missing his leg and not as useful for combat or manual labor, he was one of the few – if not the only – member of the Scyre that could read, and eventually found himself sharing Scyre leadership with Phasma. Crashed ships were not uncommon on Parnassos. 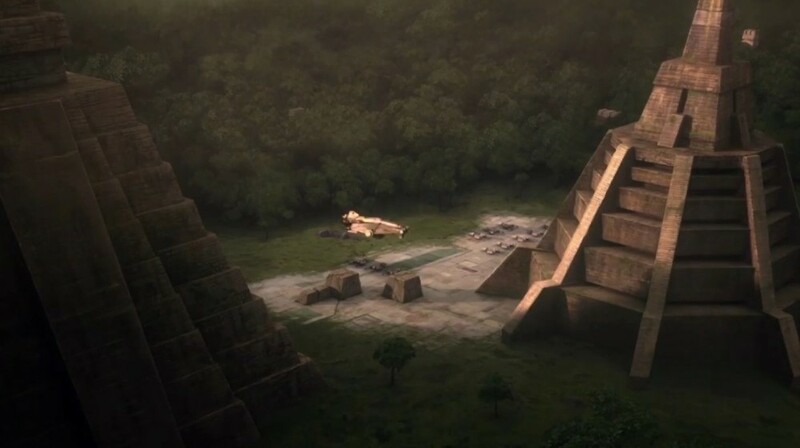 Some had been abandoned long ago, but other newer ones could also be found thanks to some old defense installments in orbit, still protecting Star Con’s former interests on the planet, despite the fact that the corporation hasn’t been active there for potentially hundreds of years. One day, Phasma witnessed a glittering ship falling from orbit and dropping an escape pod somewhere beyond Claw territory. 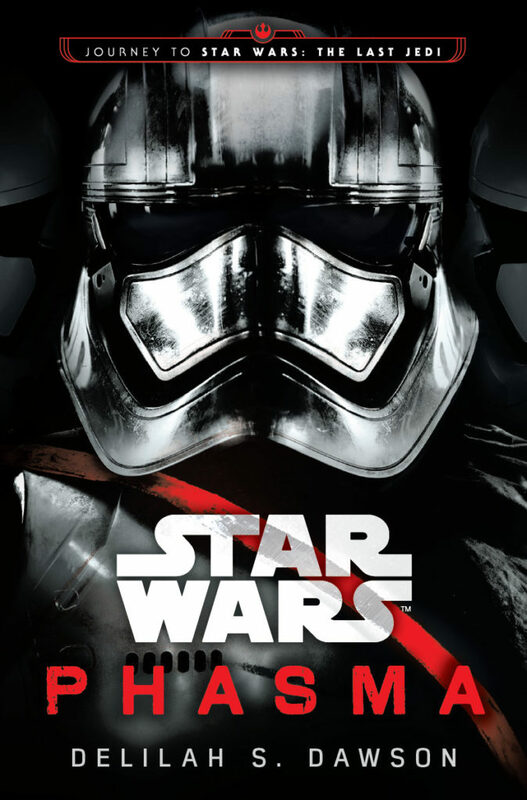 Against Keldo’s orders, Phasma races to the location of the crash with some of her soldiers in hope of salvaging something useful, only to find Brendol Hux, the man in charge of the First Order’s stormtrooper recruitment and training programs. The Claw arrive first, and Brendol declares that he is seeking the finest warriors in the galaxy and will recruit anyone willing to help him get to his ship, which just so happened to be one of Emperor Palpatine’s personal chrome Nabooian yachts. Phasma pretends to make a truce with Balder so they can both help Brendol, but stabs the Claw leader instead, then her and her soldiers fight off the remaining Claw, telling Brendol he couldn’t trust them anyway, and she and her Scyre soldiers set off to help them across the desert to find his ship. Their journey takes them across several other unfriendly groups, and Phasma proves her fighting prowess each time until even Brendol Hux’s stormtroopers begin taking orders from her. She endears herself to Brendol and quickly begins mimicking the former Imperial’s accent and posture, watching and adopting the training of the other Stormtroopers over the course of their journey. When they finally get to the ship, it’s in no condition to fly, but they’re able to hail the First Order to send a shuttle for pickup. Keldo and the rest of the Scyre intercept them and attack, angry at their betrayal, but Phama, her soldiers, and the First Order wipe out the Scyre, and Phasma even kills her brother herself. Only one of Phasma’s original Scyre company, Siv, is still alive at this point. 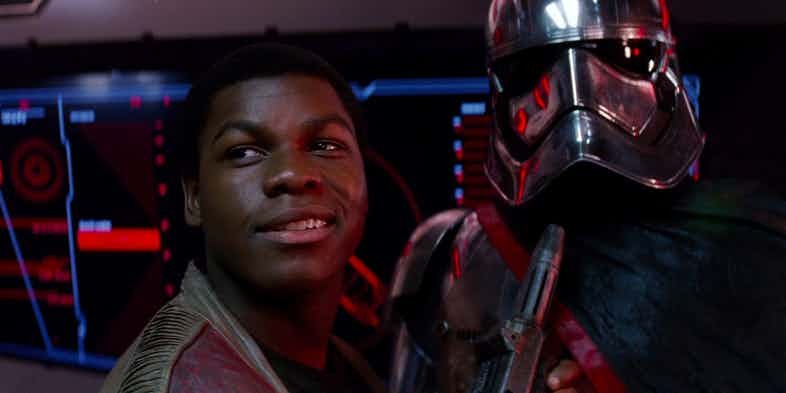 Turning on Siv, Phasma abandons her on Parnassos, leaving to start her life with the First Order, shredding the last vestige Parnassos to begin a new life where nobody but Brendol and a young Scyre girl, Frey, who they will raise as a stormtrooper, knows who she is. Already a quick learner, Phasma has mastered many of the basics of stormtrooper training – merely by observation – prior to leaving Parnassos behind with Brendol Hux to join the first order. Once officially joining the ranks, her ascent is even faster. Due to a life that required her to be on constant guard, Phasma only sleeps four hours a night, so she spends the rest of her night time hours learning about things she couldn’t on Parnassos, like galactic history, military tactics, and technology, including a little “slicing” (hacking). She gains the title of Captain in less than a year and Brendol Hux grants her half of his stormtrooper training program, a role she now shares with Captain Cardinal, a stormtrooper who wears crimson red stormtrooper armor and designs and conducts the training regiment for the young children being raised to be stormtroopers. Phasma’s responsibility is for the older troopers, training them in the actual ways of war and leading them on missions. After reaching the rank of Captain, Phasma returns to Parnassos and retrieves the chromium plating from the ship Brendol Hux crashed in. Taking it to a former Con Star facility, she has it copy a full set of stormtrooper armor, including a rejected prototype helmet, giving her iconic chrome armor. While on Parnassos, she also retrieves a native beetle who’s bite is extremely lethal, but largely unknown of outside of Parnassos. 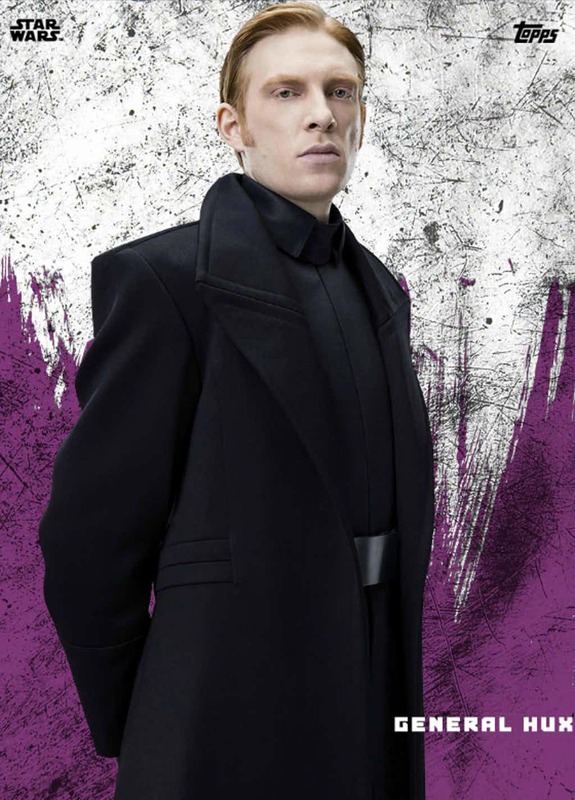 Scheming with Brendols’s son, Armitage Hux, Phasma has the beetle bite Brendol, allowing her and Armitage to fill his shoes. Since Frey had also mysteriously died in a training accident, Phasma believes she has removed the last living person who knows anything about her life before the First Order. Cardinal would eventually uncover part of this plot and attack Phasma, but she kills him as well, taking full control of the First Order’s troop training program. 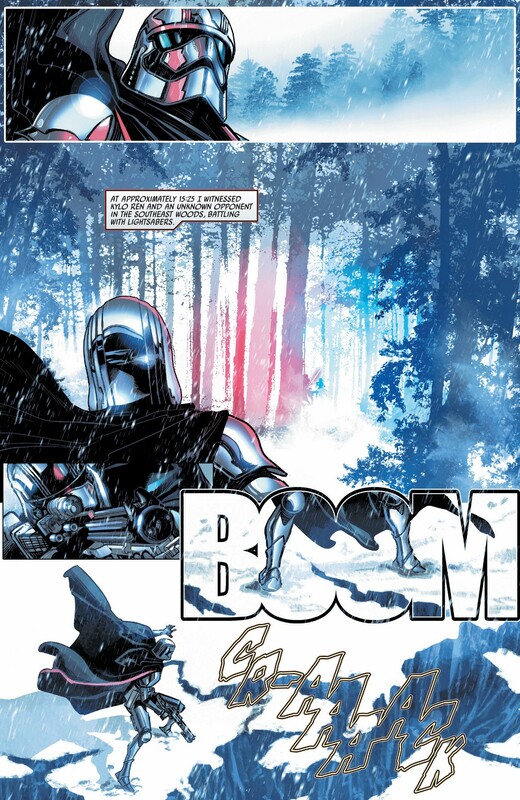 With a new comic detailing more of Phasma’s story after The Force Awakens (including how she escaped from the trash compactor), and a more action heavy role in The Last Jedi, Phasma is going to continue to be a major presence in Episode VIII at least – we’ll see if she survives until Episode IX. 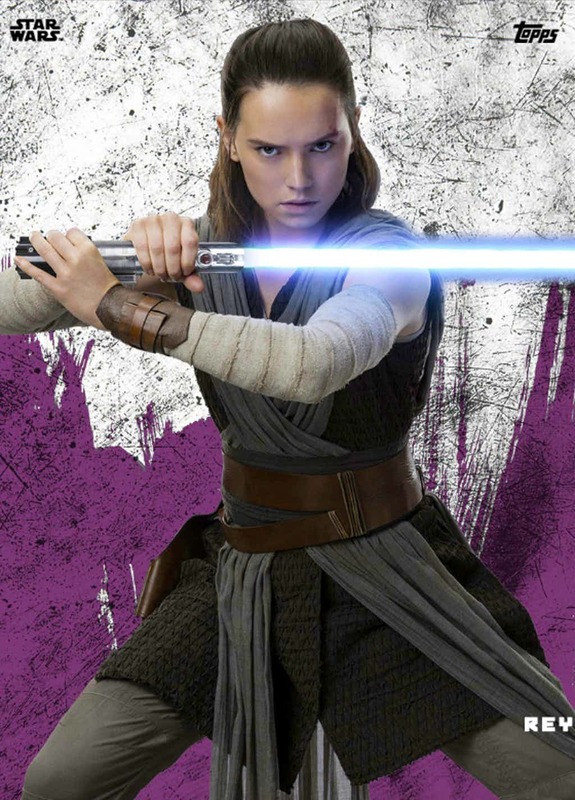 Using the First Order simply as a means to elevate own power, without any regard to any of her allies, she could have an interesting role you play yet. 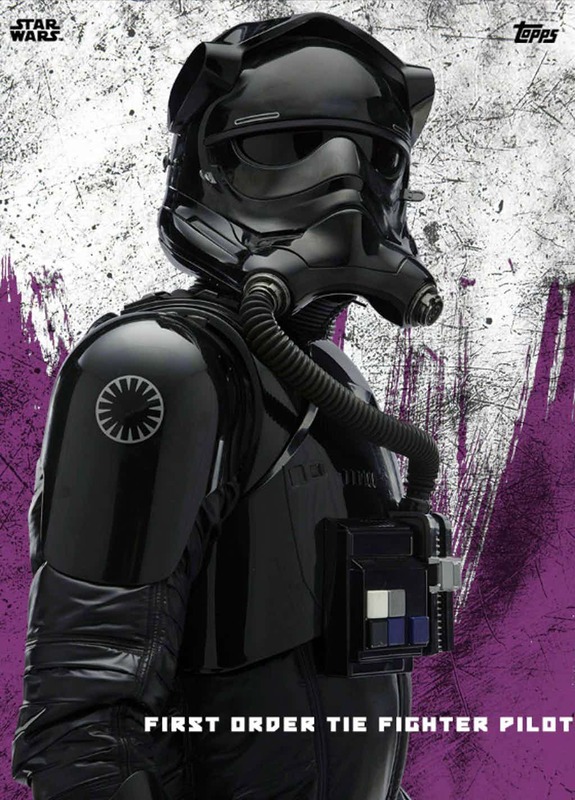 As the First Order spreads its reign of fear across the galaxy, stormtroopers armed and armored for war lead the way. The sound of their marching feet is sometimes preceded by another steady gait. Next comes the sight of all of those troopers again, doubled by reflective chrome armor. 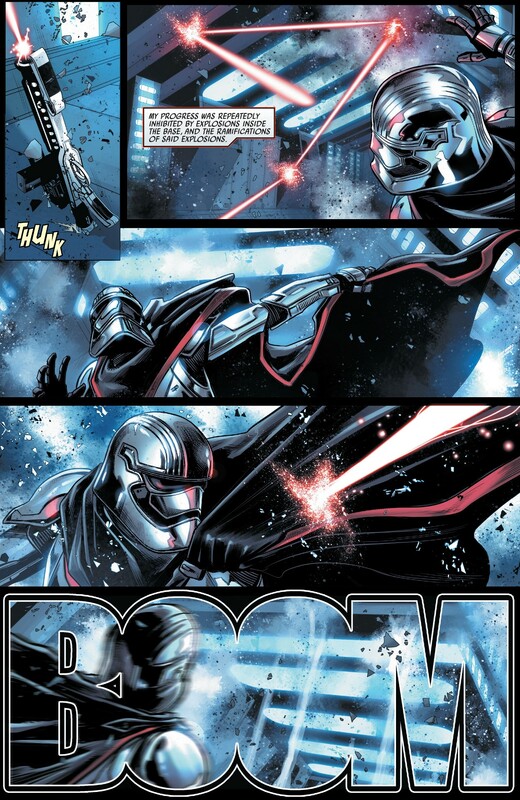 Supreme Leader Snoke’s master of ground troops, Captain Phasma, packs a punch on her own, too. 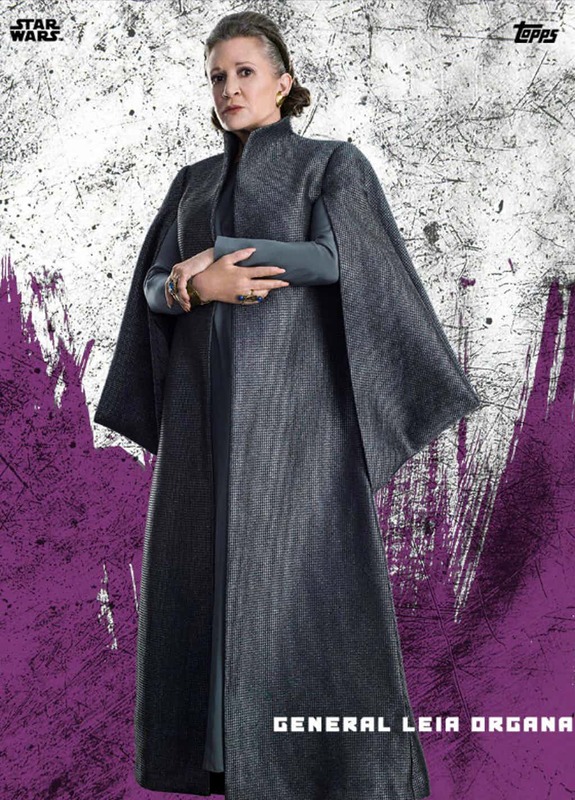 Introduced in Star Wars: The Force Awakens, she joins Kylo Ren and General Hux as one of the newest icons of Star Wars villainy. 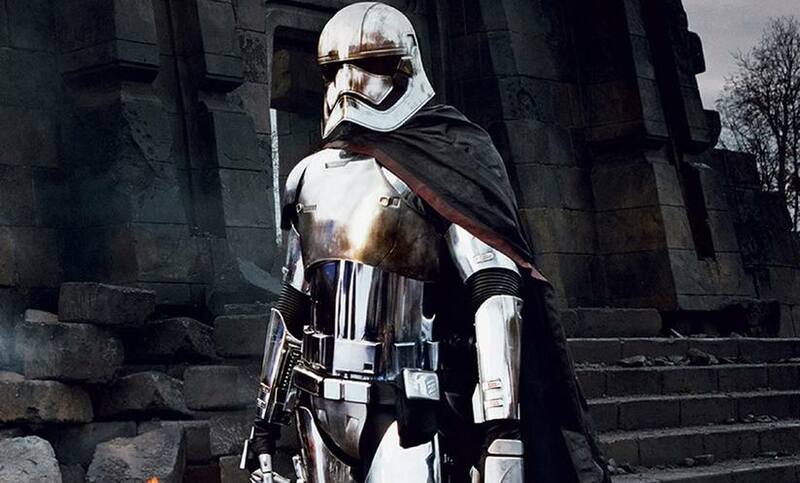 With an upcoming novel and comic series bearing Phasma’s name, there’s more of the silver-armor-clad leader to come. For now, let’s take a look at the captain’s dossier. 1. Her armor is an expression of her loyalty. 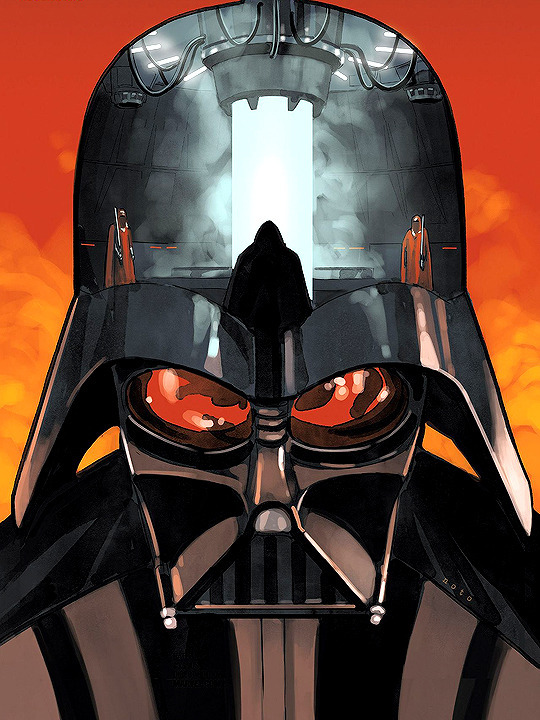 Like Kylo Ren, consumed by his aspirations to emulate Darth Vader, Phasma indulges in her own Imperial idolatry. 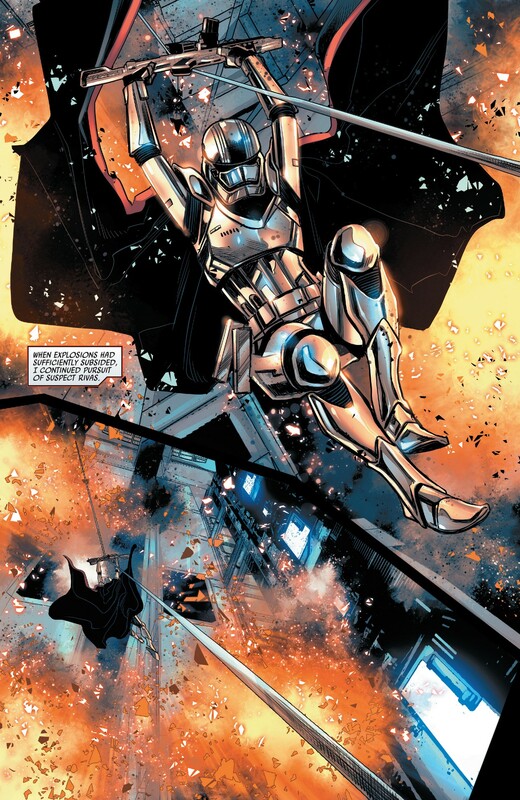 Her armor’s mirrored surface is made from chromium previously used on one of Emperor Palpatine’s own yachts. The chromium coat might not stop an anti-starship weapon, but it does shield her from radiation. 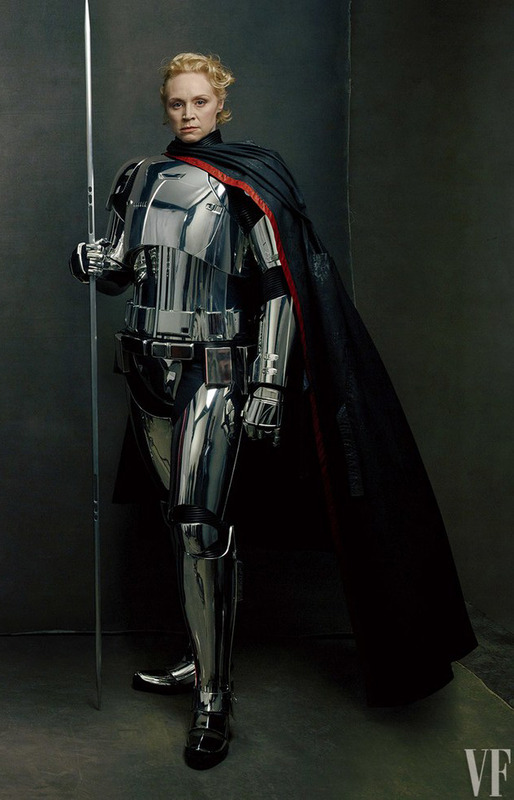 And as Phasma novel author Delilah S. Dawson said at Celebration, Captain Phasma’s enemies will see the moment of their own death reflected in that armor. 2. That blaster packs a punch from a distance. 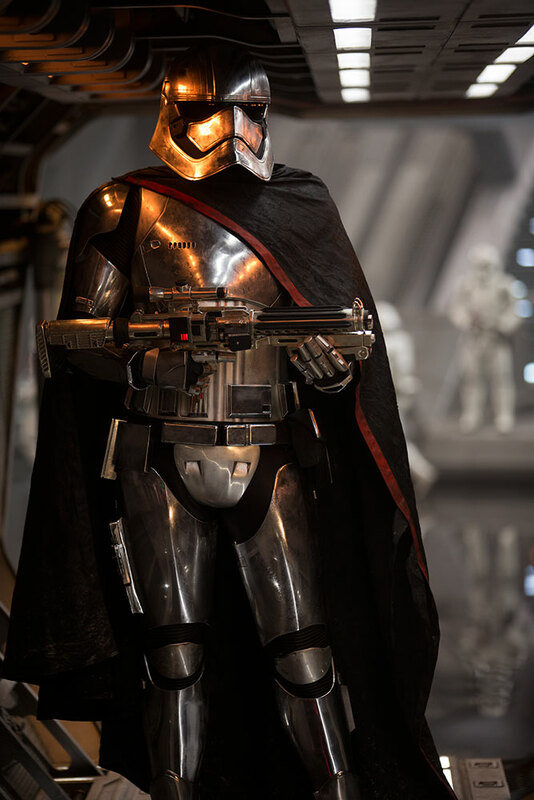 Phasma’s blaster is also coated in chromium, an affectation that adds to her imposing appearance. She’s equally comfortable flying a heavily-armed starship, driving a speeder, or wielding any of the First Order’s small arms. Her custom blaster features some upgrades, including a recurved trigger guard for a two-handed stance. Not all of the combat she sees has to be close enough to be reflected in her kit; the blaster rifle can unfold a stabling grip and a macroscope sight for sniping with magnification up to eight times. She holds it with crush gauntlets which were also specially made for Phasma’s gear. 3. “Adequate” is the highest praise her troopers can expect. 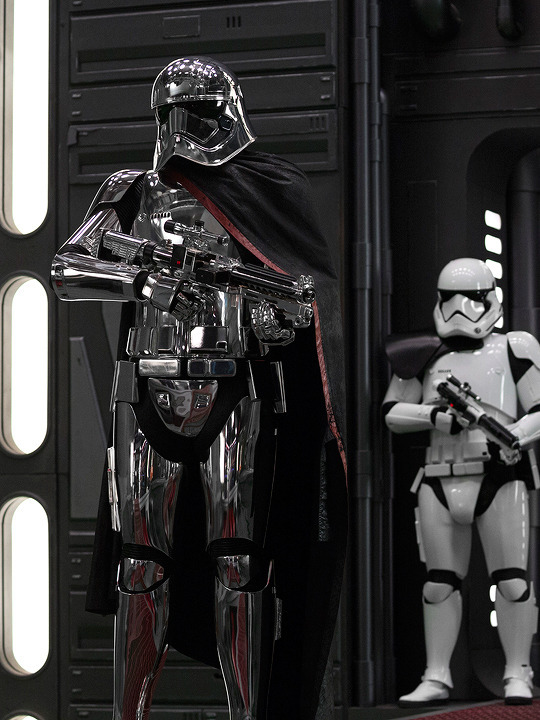 As the head of the stormtrooper legions, Phasma has to hold her trainees to the highest standard. She took a special interest in FN-2187’s training, but even her best soldier was merely “adequate.” She manipulated her troopers’ minds as much as their bodies, observing their behavior in great detail and pinpointing not just weaknesses in their fighting technique, but also friendships that could turn into alliances or dissenting thoughts that could tear a unit apart. She has memorized the serial numbers of every one of the troopers who she works with directly. 4. She idolizes the Empire — but wants to do better. Phasma has high ambitions in other areas, as well. Darth Vader’s bickering advisors wouldn’t have fared well under her rule. Although she supports the First Order’s blind bid to bring back the Empire, she’s also thankful not to have any politicians giving input on how she should raise her troopers. She wants to eliminate infighting while focusing on making her army the best that it can be. While few details are known about Deliah Dawson’s upcoming Phasma novel, it’s sure to reveal more about what makes her such an effective leader. 5. She survived being thrown in the trash compactor. There’s something alive in here. 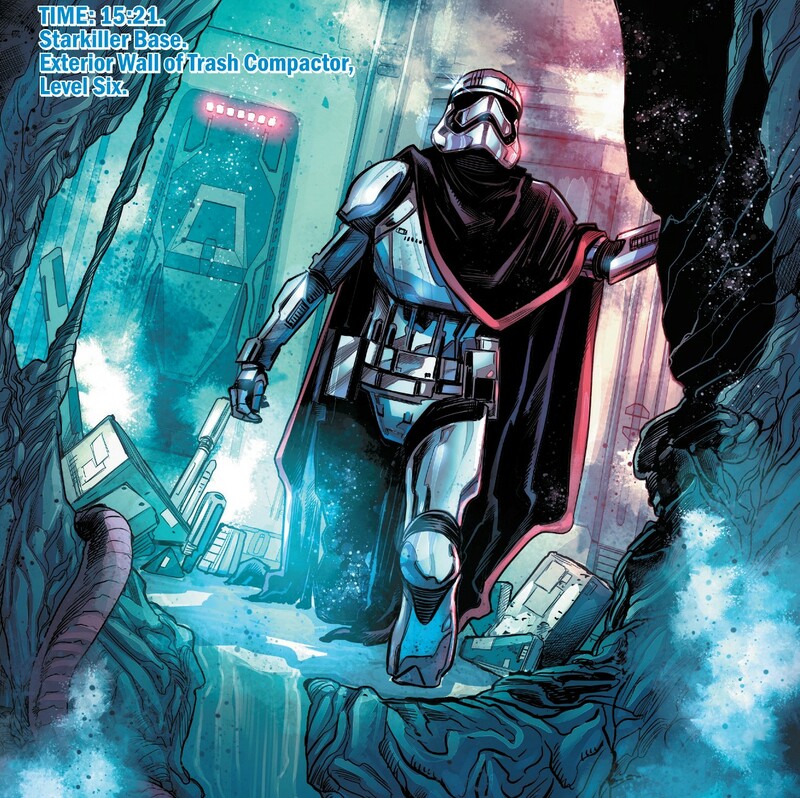 The stormtrooper extraordinaire is confirmed to have survived her trip to the trash compactor, courtesy Finn and Han Solo, in Captain Phasma #1, a series of comics from Marvel that reveals how she escaped. 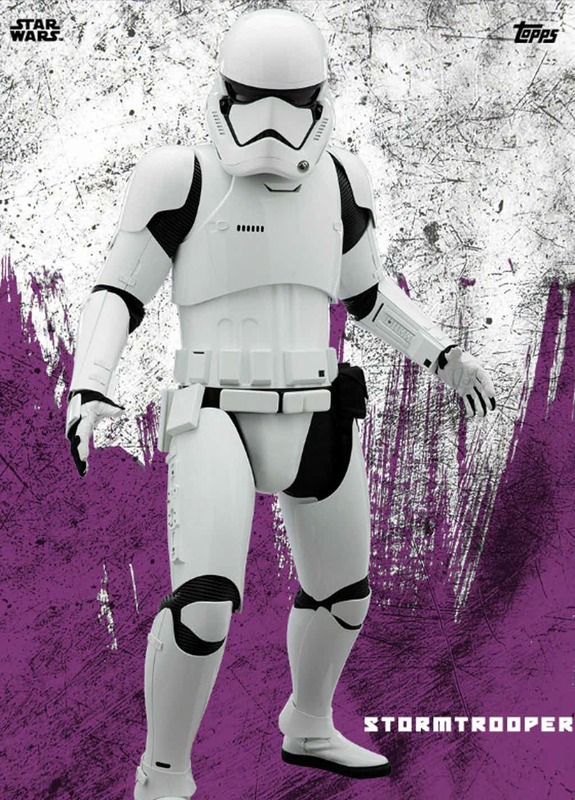 Journey to Star Wars: The Last Jedi – Phasma by Delilah S. Dawson is now in stores. Buy here. As anticipation continues to build for this December’s Star Wars: The Last Jedi fans have become pretty well-acquainted with most of the major characters who will be appearing in the film. Obviously, Rey, Finn, and Poe will be returning as the main trio, while Luke Skywalker’s more prominent role is a big source of excitement. But for fans who are still looking for any new piece of information before The Last Jedi’s big debut, today we have a closer look at a few of the characters who have not received as much of the spotlight. 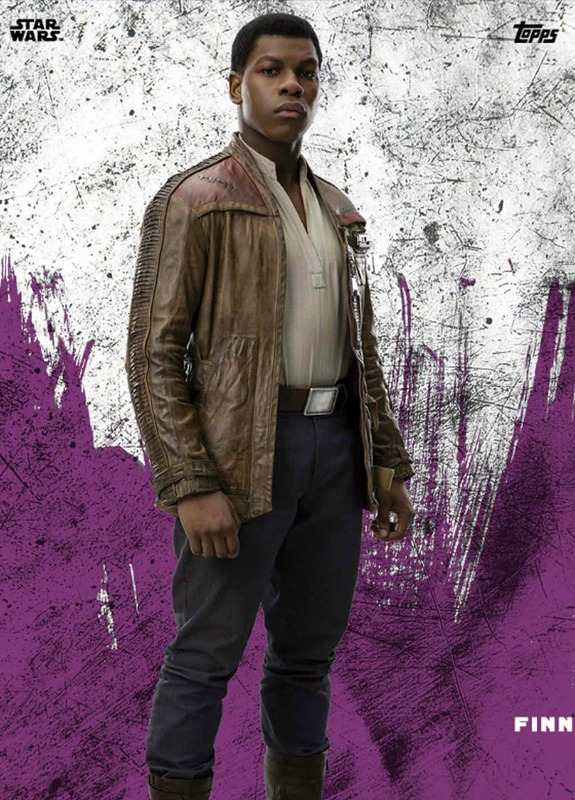 We Got This Covered shared some more images, including several Star Wars Topps trading cards, giving a closer new and returning characters. 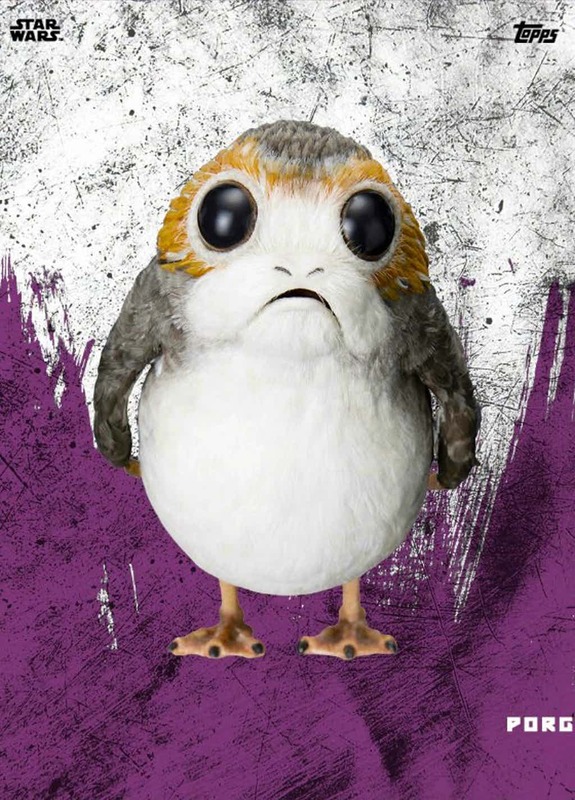 Among the familiar newcomers from The Force Awakens, like Captain Phasma, and the returning favorites, like Chewbacca, are a few names that haven’t been prominently featured in The Last Jedi‘s marketing, such as Admiral Ackbar, General Hux and the Porgs. StarWars.com’s Twitter just confirmed that the final chapter of the current Star Wars trilogy has been pushed back to December 20th, 2019. It was slated to hit on May 24th, 2019. 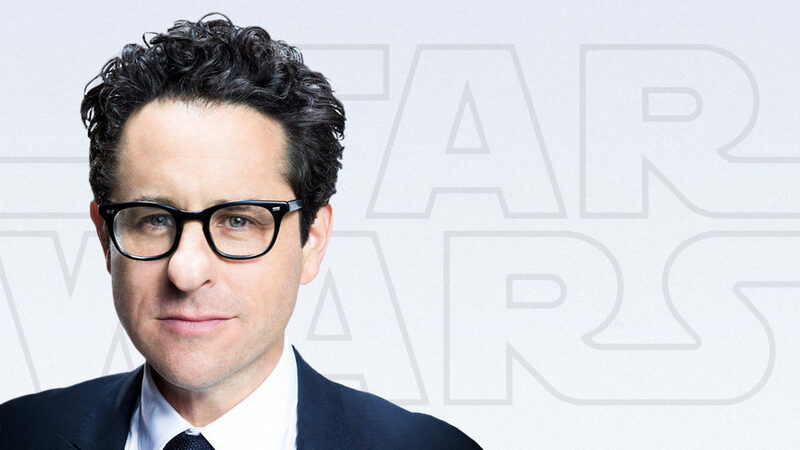 This is all thanks to J.J. Abrams returning to direct the film after some recent shake ups. 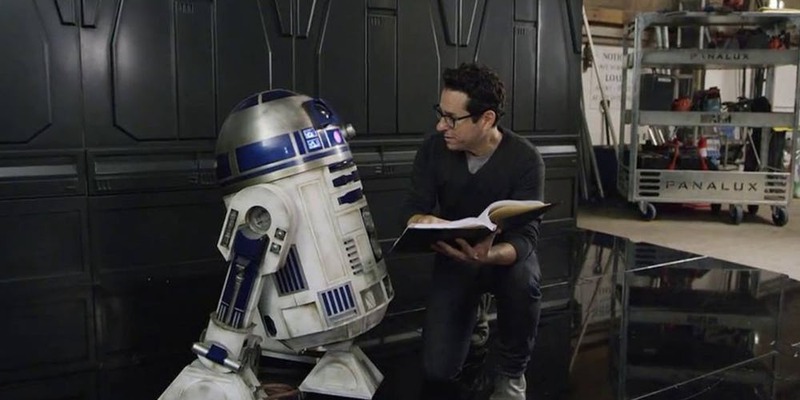 The film has recently undergone massive changes in the creative team, with Force Awakens helmsman J.J. Abrams stepping in to replace the departed Colin Trevorrow (who left the project last week due to creative differences with Lucasfilm). Abrams is also writing the movie alongside Argo scribe Chris Terrio, which isn’t a surprising development considering the script was the biggest hurdle Trevorrow (and then Jack Thorne) was unable to clear. 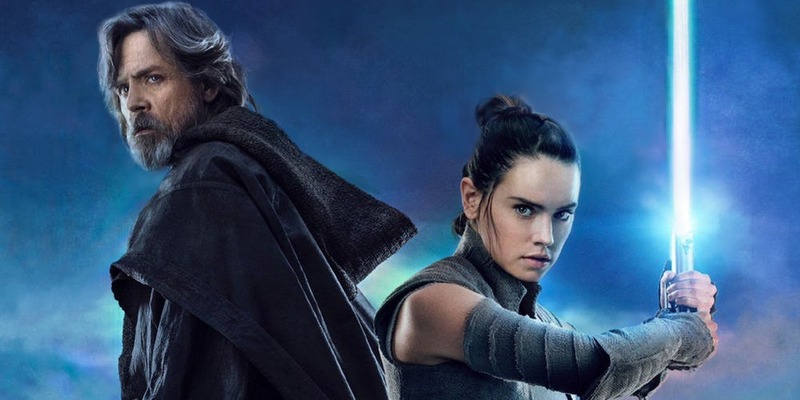 That Star Wars 9 saw such an overhaul at this stage in development was somewhat alarming, since the plan was for production on the sequel to begin in January 2018 – four months from this writing – so it could meet its summer 2019 release date. However, Lucasfilm is keen on ending the sequel trilogy on a strong note, and are willing to give Abrams and Terrio more time to crack the story. As was the case with its predecessors, Episode IX will be a holiday affair and arrive in theaters for Christmas. While next year’s Han Solo anthology movie remains on course for a May premiere, the new era of Star Wars on film has found tremendous success in December. Both The Force Awakens and Rogue One posted monster numbers at the box office, taking advantage of limited competition and waves of positive buzz. This year’s The Last Jedi is also set to dominate multiplexes over the winter, so it isn’t surprising Lucasfilm repositioned Episode IX to replicate that performance. This also gives the studio another opportunity to put together a massive Force Friday event in fall 2019, unveiling Star Wars 9 merchandise just in time for holiday shopping. As indicated above, there additionally is an artistic reason behind this decision, since Abrams and his team now have some extra breathing room when penning the screenplay. Some will recall Abrams requested Force Awakens be pushed back, so it’s possible something similar happened here. The last thing Lucasfilm wants is to rush a troubled production through for the sake of making a release date. 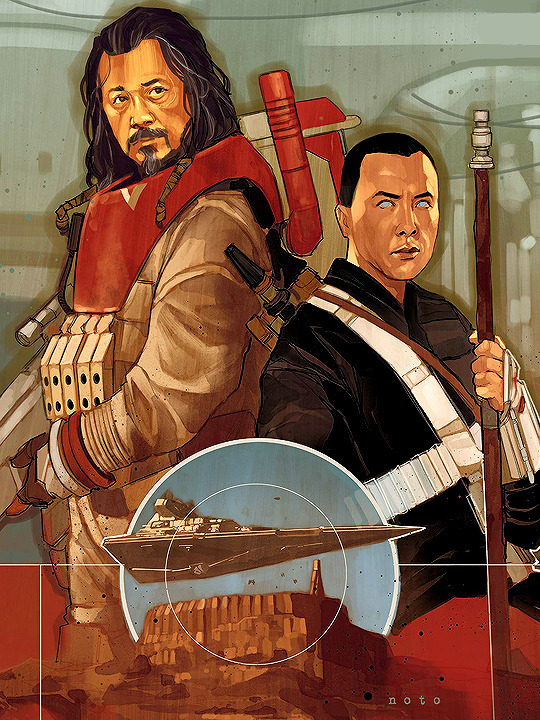 Star Wars: Rogue One Comic Adaptation (2017) #1 to #6. 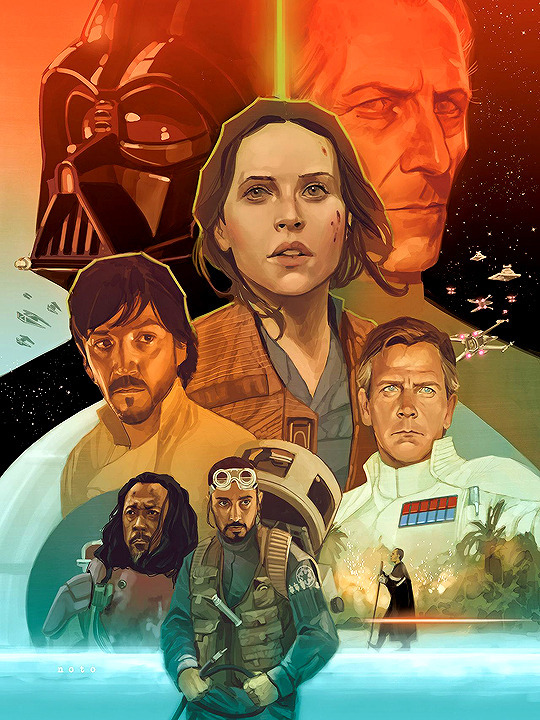 All covers by Phil Noto. 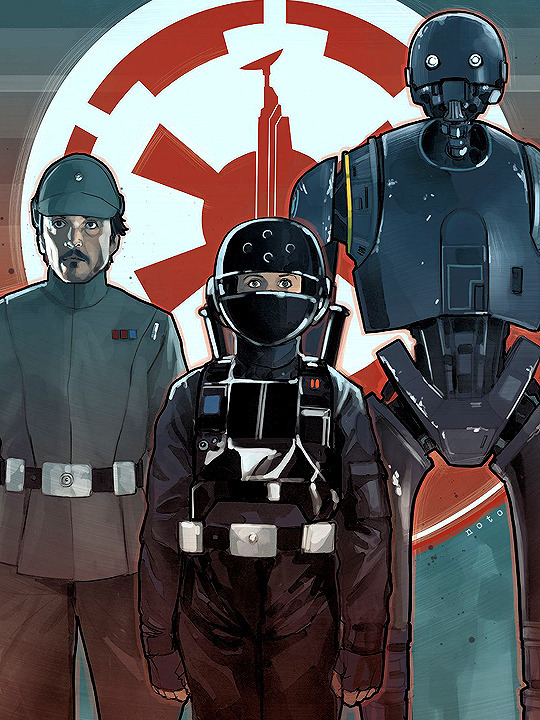 Note: You can download the 6 issues of Rogue One Comic Adaptation from here or here in a zip file format (size 240 mb). Use CDisplay to open after unzipping the files. 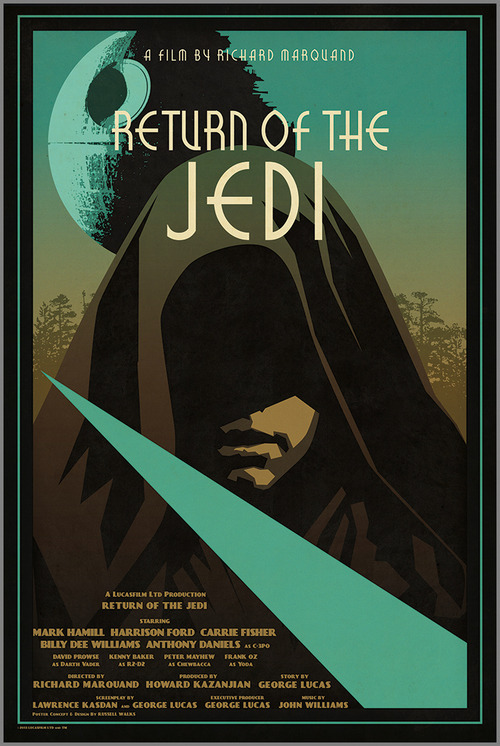 Russell Walks was the cover artist for issues one through five of the Tales of the Jedi: The Golden Age of the Sith series of comics. 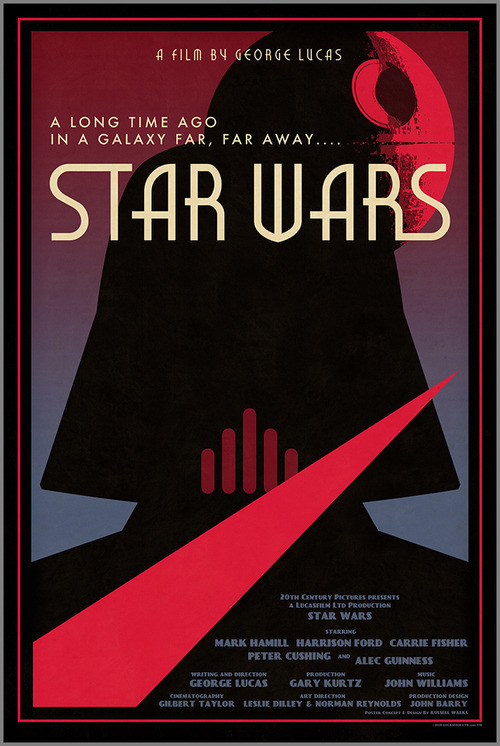 Additionally, he has illustrated for Topps, Star Wars Galaxy, and Star Wars Insider. Visit artist Facebook or Twitter pages. 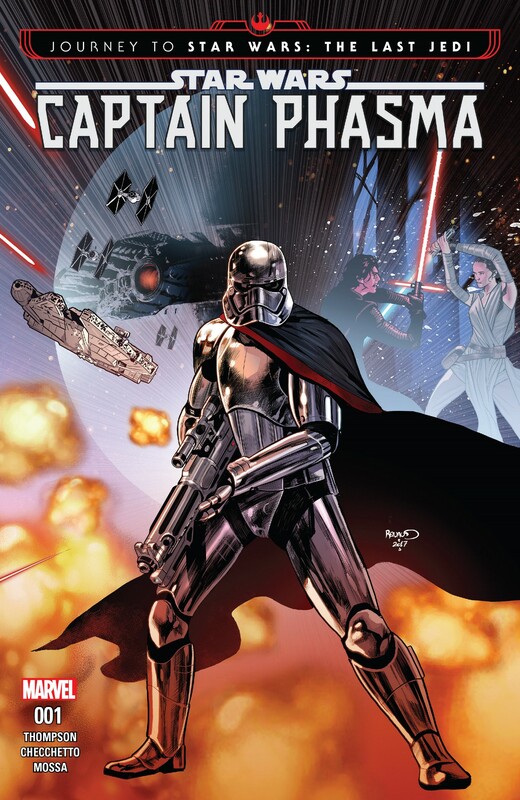 The first issue of a new Star Wars comic centering around sequel trilogy villain Captain Phasma reveals how she escaped from Starkiller base at the end of The Force Awakens. 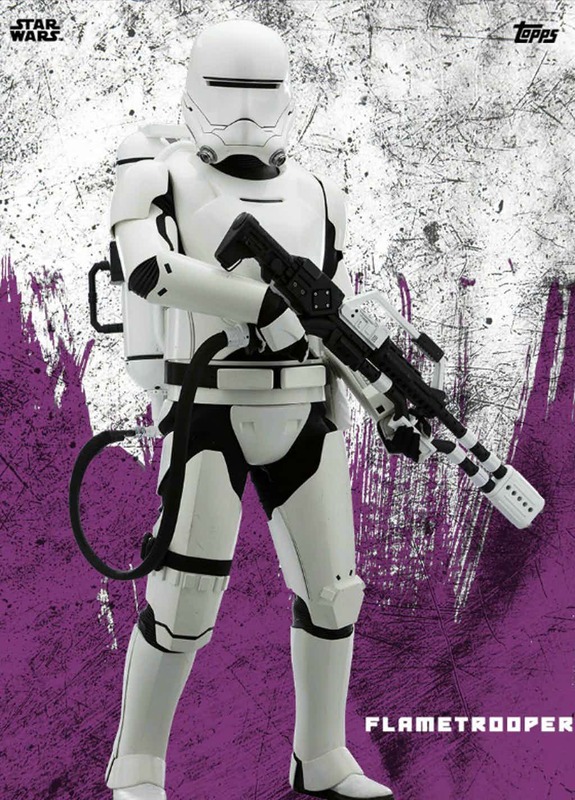 It’s well-known now that the stormtrooper commander, played by Gwendoline Christie in the films, is returning in this December’s The Last Jedi. However, when viewers last saw her in Episode VII, the Captain was about to be unceremoniously tossed down the garbage chute on Starkiller, after being forced to lower the shields for the Resistance. 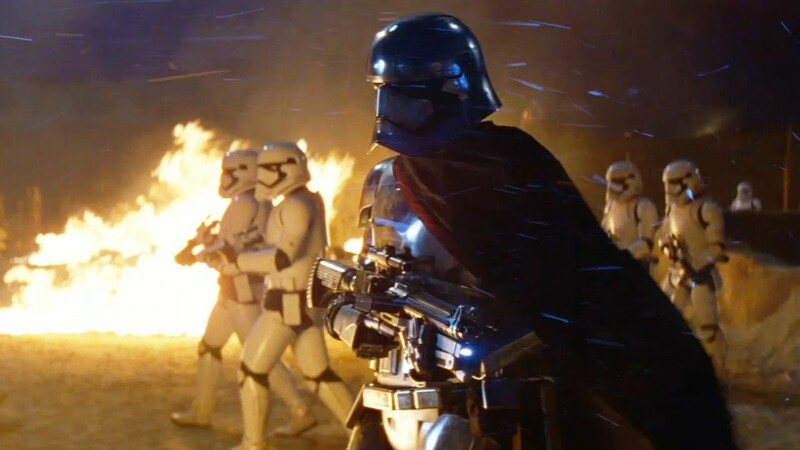 When the planet was blown up, it was unknown how/if Phasma made it off-world, posing yet another mystery for fans. Lucasfilm’s story group works hard to ensure the Star Wars franchise is alive and well across multiple mediums, using novels and comic books to fill in gaps in the canon that the films simply do not have time to cover. 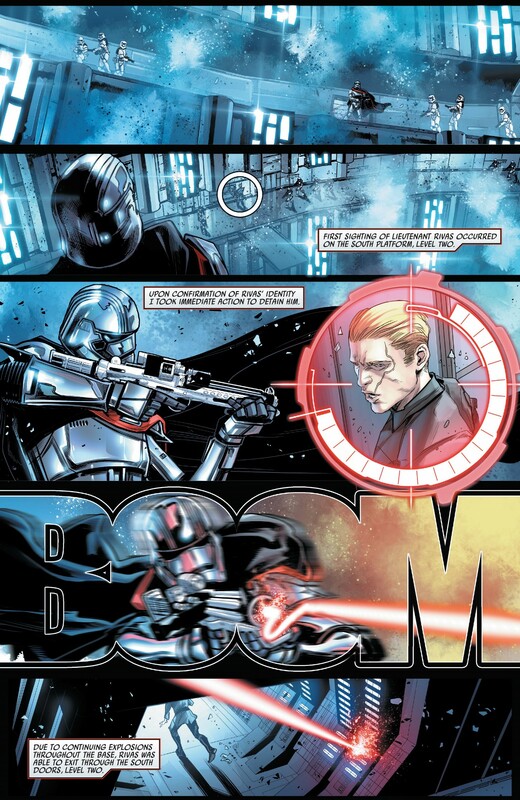 This was the perfect avenue to explain how Phasma survived the events of Force Awakens, with her own comic being launched as part of the “Journey to The Last Jedi” publications. According to io9, the debut issue of the series spans a grand total of 6 minutes, testing one’s suspension of disbelief to almost absurd levels. Phasma gets out of the trash compactor thanks to one of the Resistance’s bombing runs on the base, which opens up a hole in its side. She then wipes the records that show her security codes were used to disable the shields, and sees that Lieutenant Sol Rivas had accessed the shield systems during her time in the garbage. 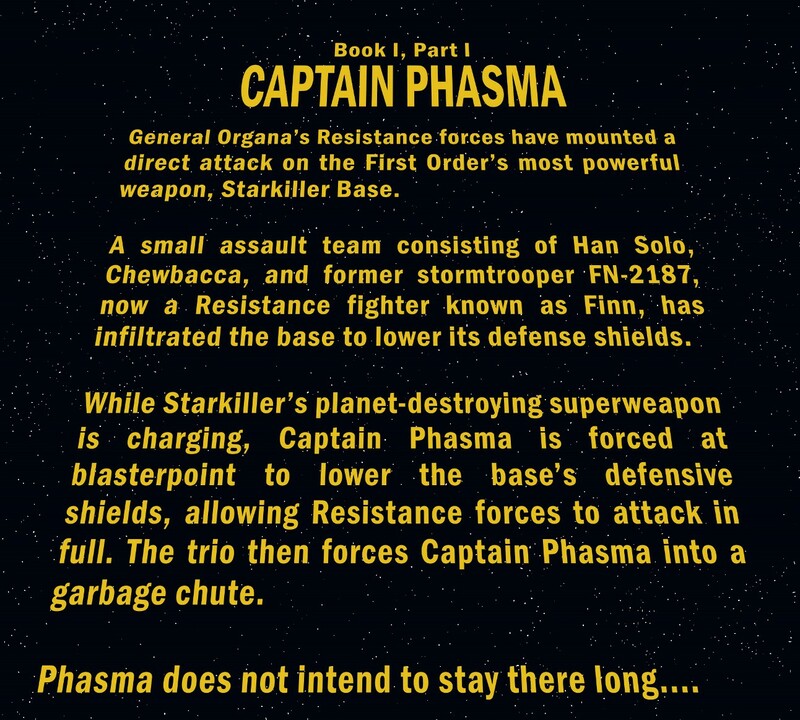 Phasma schemes to frame Rivas as the one responsible for the base’s destruction and tries to hunt Rivas down (witnessing Kylo Ren’s duel with Rey in the process). 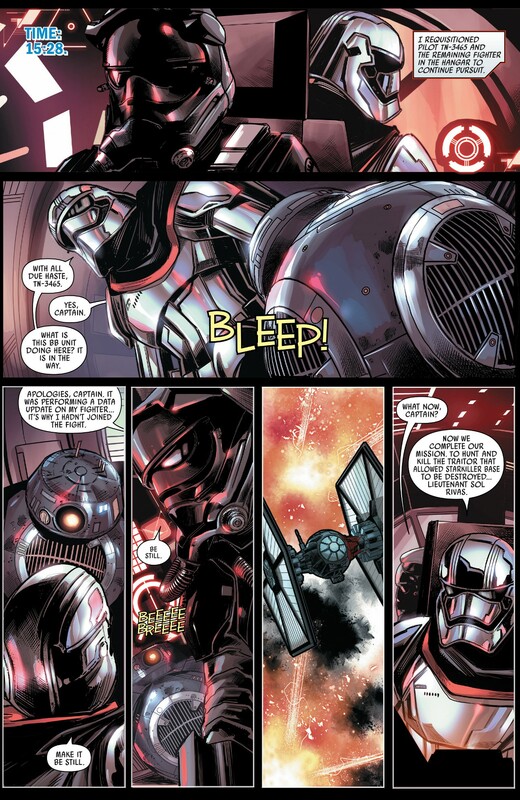 She cannot reach him before Rivas flies off in a TIE fighter, so Phasma pairs up with a First Order pilot and new astromech BB-9E to escape in a TIE of her own. This is a great illustration of the value of the non-movie canon materials, providing die-hard fans with answers to questions they may have had. It’s unlikely this comic will be referenced at some point in The Last Jedi, but for interested parties, it’ll make for a fun read, especially after Phasma was shortchanged in Force Awakens. Many were disappointed with the way the character was handled in Episode VII, but Lucasfilm is making strides to ensure she gets her due justice now. 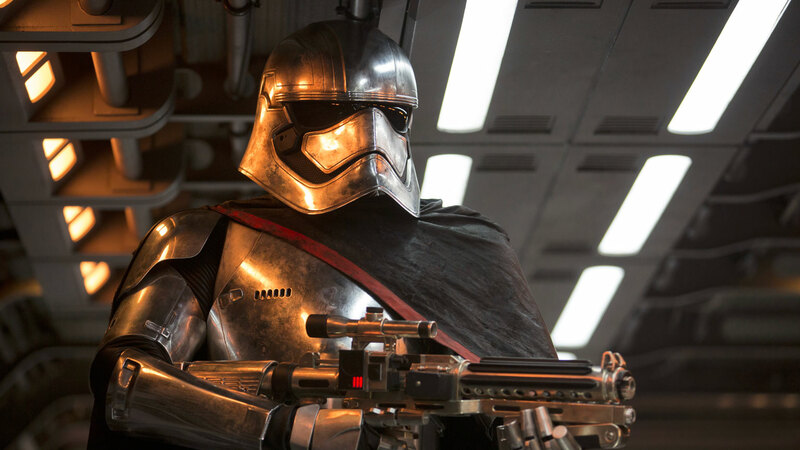 Phasma’s role in Star Wars 8 is said to be more action-heavy, and she is also the subject of a new novel that delves into her backstory. 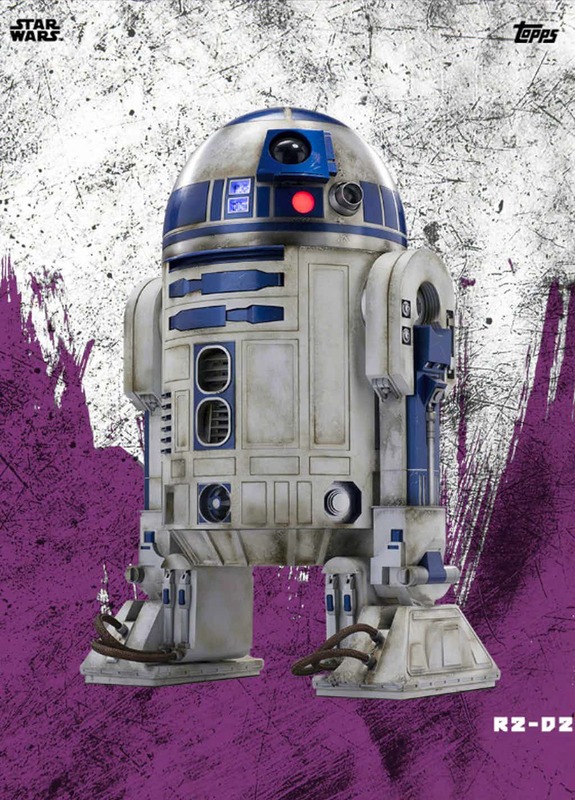 One of the more interesting inclusions in the comic is the droid BB-9E, who is lovingly being referred to as BB-8’s evil twin by viewers. His role in the film remains under wraps for the time being, with clues in merchandising suggesting he has connections to Kylo Ren. 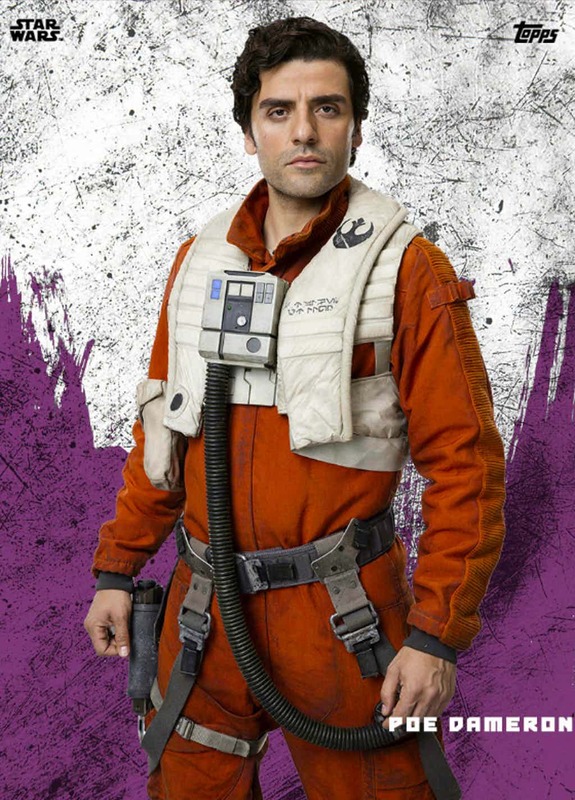 Here, however, he’s associated with a random pilot before being whisked away with Phasma. 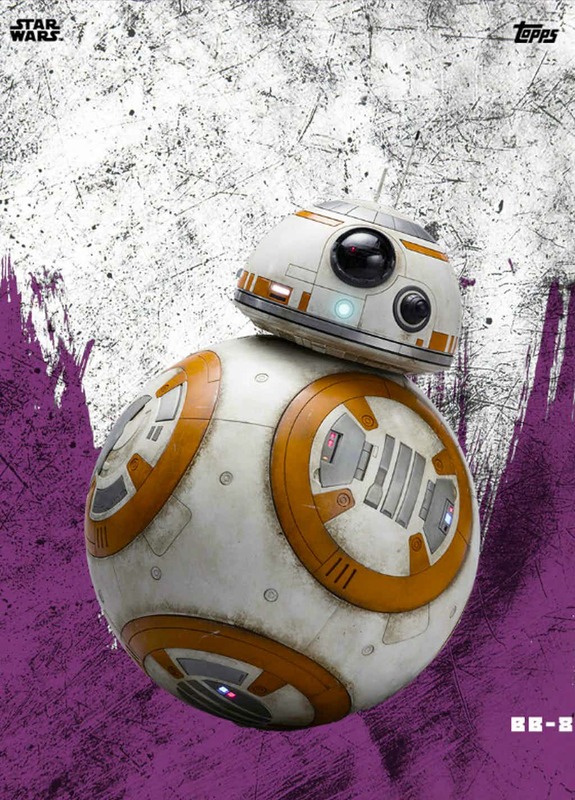 Regardless of how BB-9E fits into the movie, Lucasfilm is making sure fans are keenly aware of his presence before December rolls around. 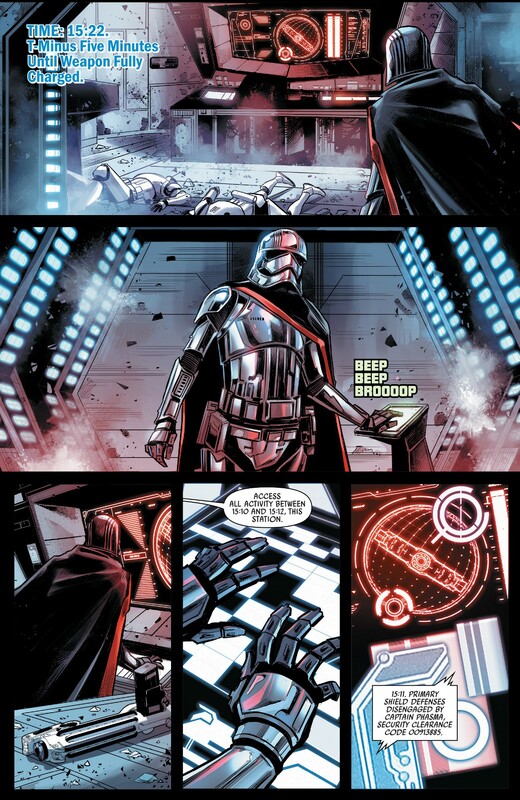 Note: If you didn’t read Captain Phasma #1 yet, you can download it from here or here, but please don’t let Disney know… You will need to have CDisplay installed in your device to open the file. 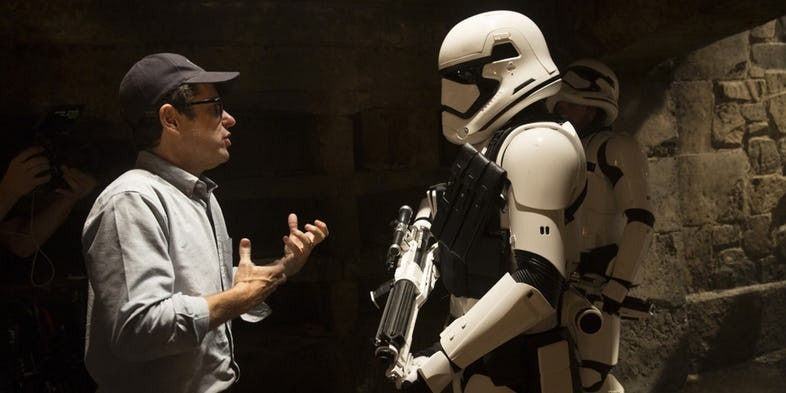 More alleged details concerning Colin Trevorrow’s departure from Star Wars: Episode IX have emerged, implying that the director was “difficult” to work with during the developmental process. Earlier this week, Lucasfilm made waves when they parted ways with the filmmaker, who had been attached to Episode IXfor more than two years. The official press release indicated the age-old “creative differences” were to blame for the split, but as in the curious case of Phil Lord and Chris Miller, many presumed there was more to the story. It didn’t take long for more information to come out. 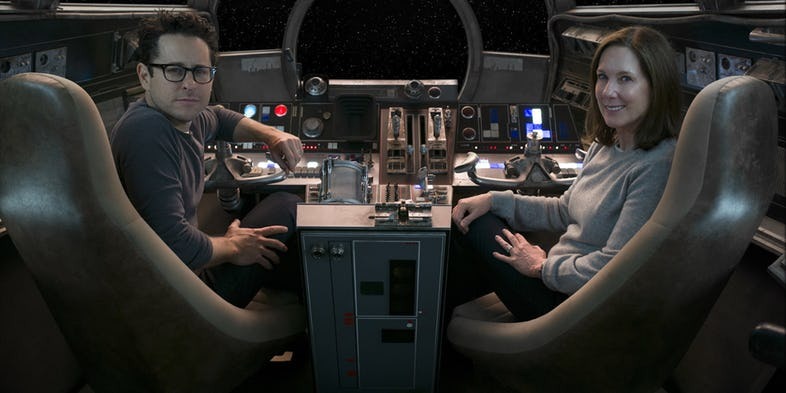 Shortly after the announcement, reports stated the script was the biggest hurdle Star Wars 9 could not clear, as Trevorrow handed in multiple drafts that apparently did not satisfy the powers that be at Lucasfilm. It was said the Jurassic World helmsman’s relationship with Kathleen Kennedy had become “unmanageable,” giving the studio president no choice but to move on. 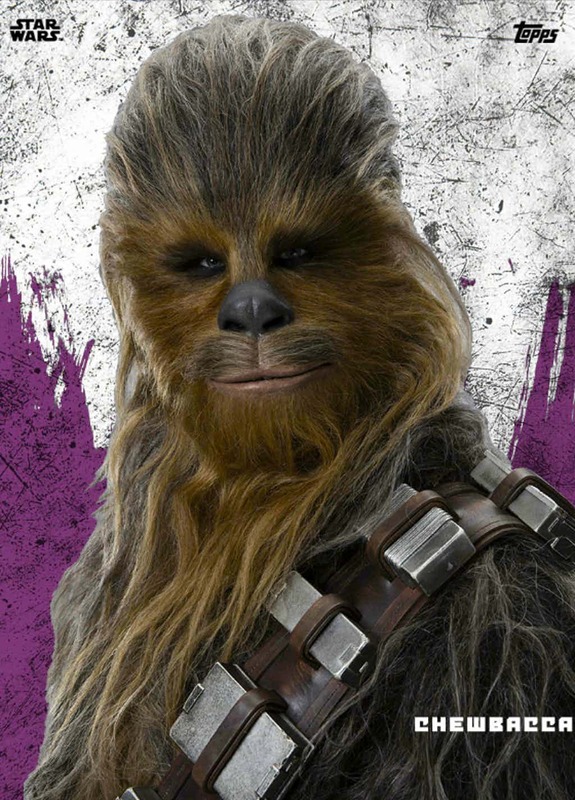 Based on the latest word, Trevorrow’s personality played a large role in the newest Star Wars directorial shakeup. While another public breakup with a director so soon after the Lord and Miller debacle on the Han Solo anthology was hardly what Lucasfilm needed, it’s arguably better Kennedy pulled the plug now with roughly four months to go until the start of principal photography instead of sticking it out with someone she didn’t get along with. Nobody understands the pressure to get the new Star Warsmovies “right” for the fans more than Kennedy, and she has shown a willingness to make some tough calls in order to do what she feels is best for the longterm viability of what was a $4 billion acquisition for Disney. It’s becoming apparent Lucasfilm may need to rethink their hiring procedures as they look ahead to Obi-Wan and other future films so they avoid more dustups, but that problem sounds easily fixable on-paper, especially with what the studio has learned from their experiences so far. 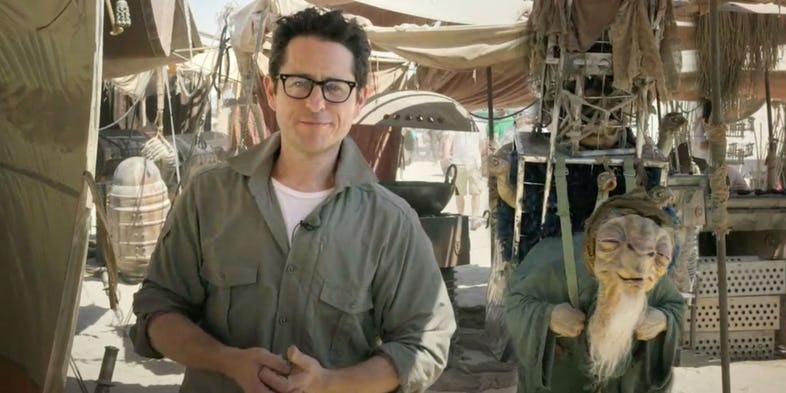 Granted, Lucasfilm’s handling of their directors may prevent some filmmakers from lending their talents to the galaxy far, far away, but it’s hard to argue with the success Kennedy has had guiding the new era of Star Wars onscreen, and the allure of working in such a legendary franchise has drawn in Oscar caliber names like Ron Howard and possibly Stephen Daldry (who is said to be in early talks for the Obi-Wan film). It was admirable that Kennedy attempted to give up-and-comers a shot at playing in such an expansive sandbox, but for now, it seems like the studio’s vision for their prized possession gels better with experienced directors who know the drill and are open for collaboration. Kennedy, as Vulture‘s source states, is the “gatekeeper” of one of the most popular properties in the history of pop culture. She has a clear vision and – right or wrong – is seeing it through. 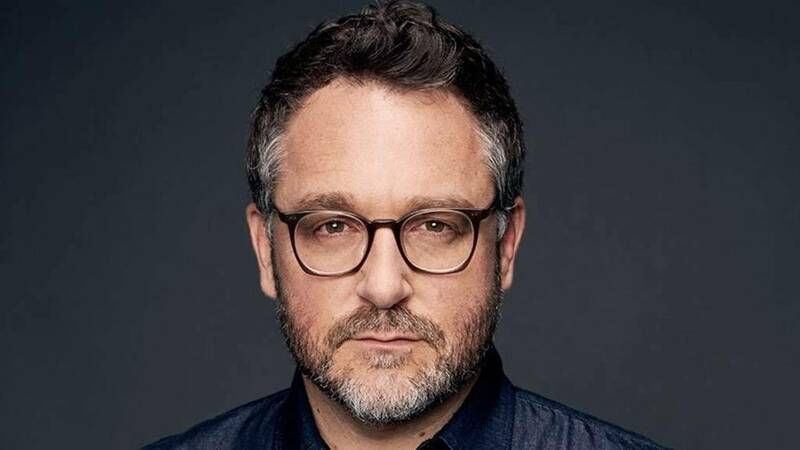 Colin Trevorrow was attached to helm Star Wars: Episode IX since summer 2015, but the rumors were swirling about something like this happening back when his writing parter left and then sooner after a new writer came aboard. After that fans began to notice Lucasfilm employees unfollowing Colin Trevorrow on social media. Disney’s big screen revival of the galaxy far, far away got off to a rousing start in 2015 with the $2 billion success of The Force Awakens, but things haven’t been as smooth in the years since. Last year’s Rogue One (which was a critical and financial hit), went through extensive reshoots that saw filmmaker Tony Gilroy come in to oversee the additional photography. While that drama seemed like a big deal at the time, it was nothing compared to what the studio has endured this year. Back in June, Phil Lord and Chris Miller were infamously fired from the Han Solo spinoff movie, four months into production. While all that was going down, Trevorrow’s The Book of Henry was an unmitigated critical and commercial disaster, causing some to wonder if his future with Star Wars would be in doubt. While Trevorrow remained very enthusiastic about the opportunity, it has now been revealed he is stepping down. In the statement, it was said Lucasfilm and Trevorrow have mutually agreed to part ways since their “visions for the project differ.” They mentioned more information about Episode IX will be revealed soon. Currently, the plan is for the film to begin shooting in January 2018 so it can meet its previously scheduled May 2019 release date. The studio will have to move quickly to find a replacement to stay on track, but odds are they have some names lined up for the job. After all, Ron Howard swiftly replaced Lord and Miller on Han Solo, so it shouldn’t be a long search to find someone new for Episode IX. During his time onboard, Trevorrow was extremely complimentary of Lucasfilm’s collaborative nature, promising fans a poignant conclusion to the trilogy (and possibly the saga). However, reports are suggesting it was an uneasy alliance. Per THR, script issues plagued Episode IX in development, which led to Jack Thorne being hired in August to rewrite the screenplay. Sources told the outlet Trevorrow’s relationship with Lucasfilm president Kathleen Kennedy had become “unmanageable.” After the Han Solo fiasco, Kennedy apparently “tried to avoid this decision,” but the parties could not agree on the right direction for Star Wars 9. Fortunately, there are still five months left until principal photography, so it isn’t as dire a situation. It will be interesting to see who Lucasfilm gets to step in, as an argument can be made recent developments may turn directors off from entering the Star Wars universe. One logical option on the table is Rian Johnson, who is coming off a great experience directing The Last Jedi. 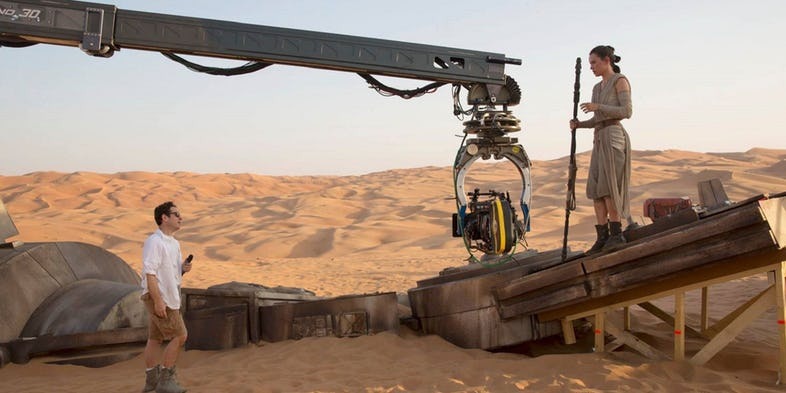 Earlier this year, the Looper helmsman said he would call the shots on another Star Wars film in a heartbeat, so there’s definite interest there. Given how much the cast loved Johnson’s screenplay and approach to the franchise, he seems like a natural fit to conclude the story he is continuing this holiday season. The long-awaited season 4 premiere date for Star Wars Rebels has finally been revealed as October 16th. The series – which made its premiere on Disney XD back in 2014 – has wound up becoming one of the more beloved new pieces of Star Wars content to be released during the property’s Disney-owned era. Led by Star Wars fan-favorite, Dave Filoni, the series has helped to fill in the time period between Revenge of the Sith and A New Hope with new details and colorful characters, all of whom have either crossed paths with characters from the Original Trilogy, or have somehow managed to add depth to the Star Wars universe in their own unique, unexpected ways. But much to the dismay of many fans around the world, Star Wars Rebels will be finishing its run on the air with its upcoming fourth season, which promises to answer some of the series’ bigger mysteries, including finally telling fans what happened to the crew of the Ghost prior to the events of the Original Trilogy. Aside from the final season’s announcement several months ago, though, in addition to an action-packed season 4 teaser trailer, details from the newest season of Star Wars Rebels have been surprisingly scarce as of late, including when fans will actually get to start watching it. 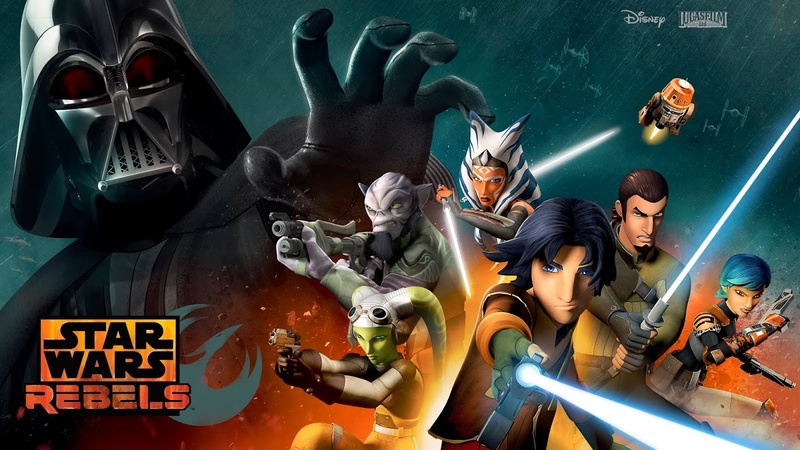 That is, until yesterday, anyway because during the Star Wars Rebels panel at this year’s FanExo Canada convention (H/T Star Wars Underworld), it was finally announced that the fourth season of Star Wars Rebels will be premiering on Disney XD on Monday, October 16th. The news came directly from Dave Filoni himself while appearing on the panel alongside series stars Vanessa Marshall (Hera) and Taylor Gray (Ezra). In addition, a brand new trailer for Star Wars Rebels season 4 has been released online today. Season 4 will be coming off what many agree to be not only one of Rebels‘ most eventful seasons to date but also one of its best. The season managed to pack in the long-awaited, official introduction of Grand Admiral Thrawn into the Star Wars cinematic universe, along with a return appearance from Obi-Wan Kenobi. 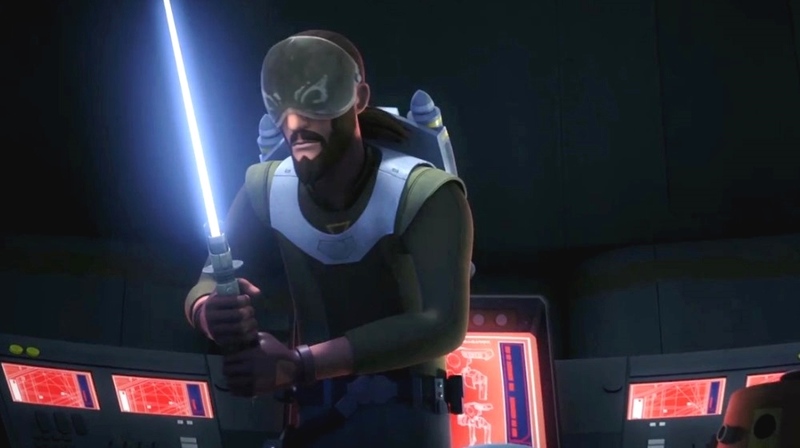 And in case that weren’t enough, Obi-Wan’s return in Rebels also gave fans the conclusion to his rivalry with Darth Maul, cementing Maul’s story arc as one of the most compelling of the saga. 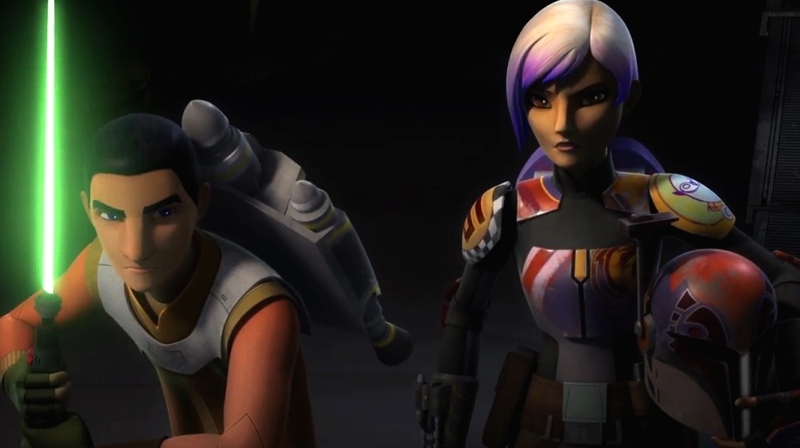 Fortunately, there’s still plenty of questions that Rebels will have to answer by the time it reaches its inevitable conclusion, and an equal amount of loose threads from previous storylines to finally wrap up. As such, it is shaping up to be possibly the show’s most somber and mature season to date. Whether or not that means it’s conclusion will also be a satisfying one remains to be seen, but the show’s track record says yes. 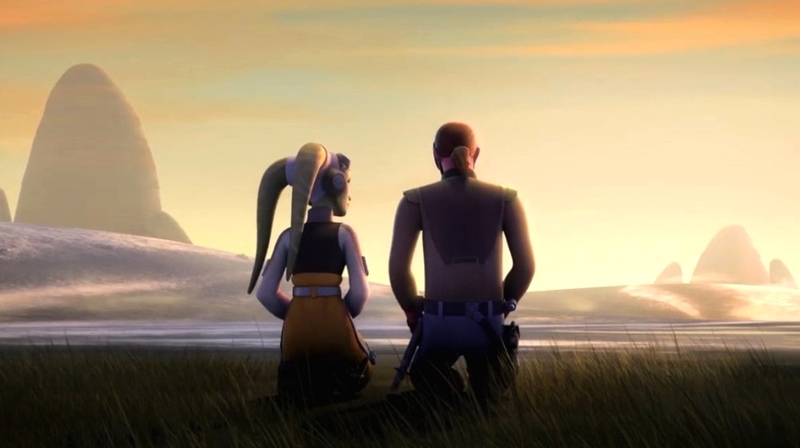 For now, fans can at least rest easy knowing they don’t have that much longer to wait before getting to see Star Wars Rebels return to the small screen next month. As Star Wars Rebels prepares for its fourth and final season in a few months, the second official trailer for the show’s swan song has been unveiled. While many Star Wars fans were sad to see The Clone Wars end unexpectedly – and with several dangling plot threads – shortly after Lucasfilm’s acquisition by Disney, Rebels has provided a great sense of closure for some of the show’s biggest remaining questions, like what happens to Rex, Ahsoka, and Maul, all while helping fans fall in love with many new characters, particularly the Ghost crew of Hera, Kanan, Zeb, Sabine, Ezra, and Chopper. In the mad race to the events of Rogue One and the unknown fate of many of the show’s main characters, season 4 is set to give fans a number of long anticipated payoffs, such as finally introducing the Rebel Alliance’s iconic X-Wings after 3 seasons of A-Wings, Y-Wings, and even a B-Wing prototype. The show is said to provide additional tie-ins to Rogue One, presumably wrapping up some threads already introduced in season 3, such as Saw Gerrera. Tarkin’s line referring to Krennic and “Stardust” obviously provide even stronger ties. 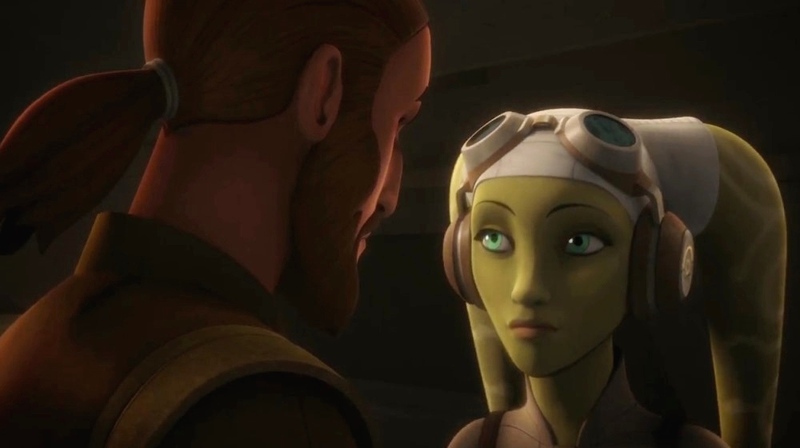 While we know Hera, The Ghost, and Chopper live to see Rogue One, the future of just about every other major character – especially the two new Jedi the show introduced, Kanan and Ezra – is up in the air. 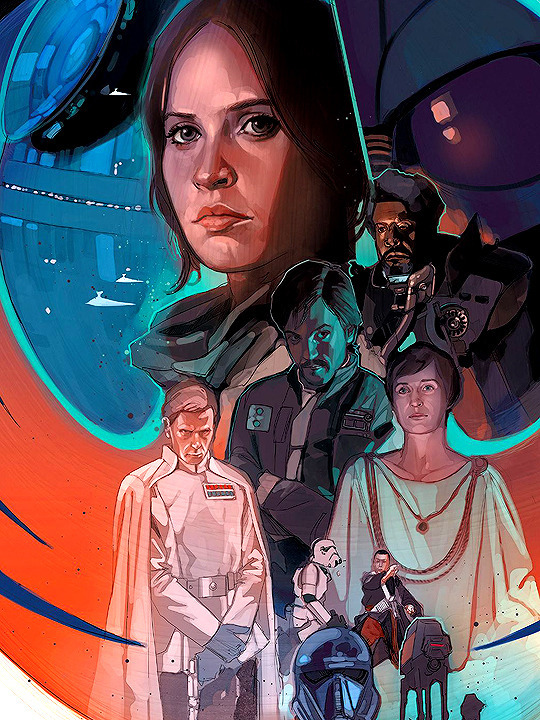 In fact, most fans would be surprised to learn they live into the events of Rogue One or beyond, considering we haven’t seen their impact on that portion of the timeline in any existing canon. 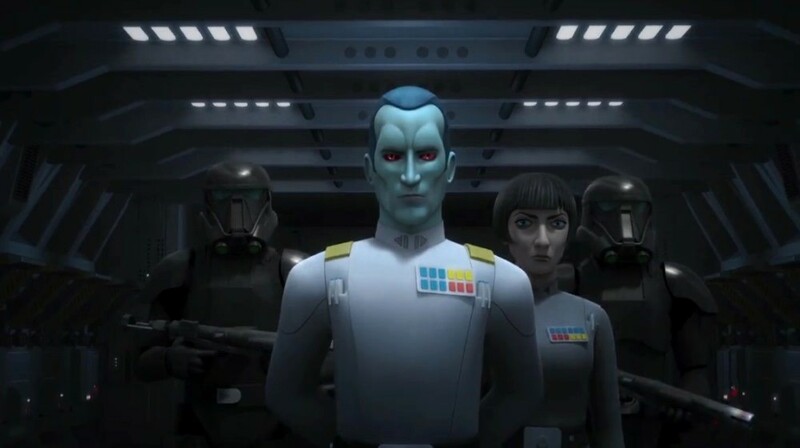 The action packed trailer puts the conflict with Thrawn front and center, presenting yet another major plot point in need of wrapping up by the end of the season. Thrawn isn’t a known quantity during Rogue One or beyond, and while we might have an idea of where he goes, there’s still some explaining necessary to get him there. However, a strong focus on a brewing Mandalorian civil war means there may be more to the season than a simple Rebels vs Thrawn finale. 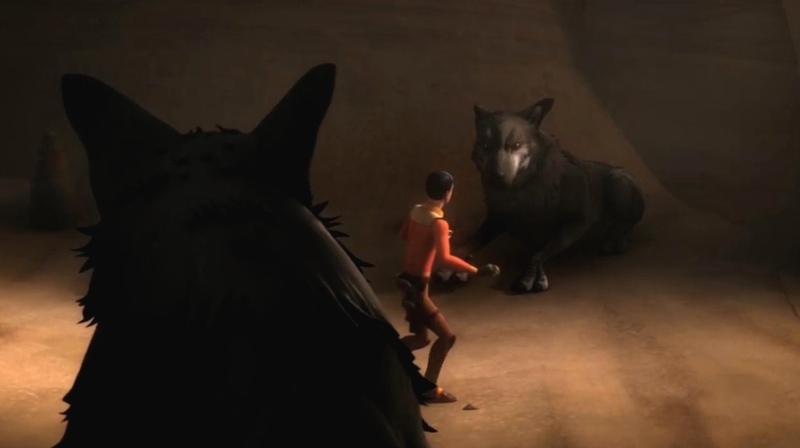 Then, of course, there’s Kanan, Ezra, and those wolves they keep teasing, usually with some sort of connection to Ahsoka and the mysterious convorees. It’s not clear exactly what the Jedi and Padawan are up to, but they may be about to discover an aspect of the Force that, like the Bendu in season 3, is completely new to the Star Wars universe. Will this revelation somehow send them into exile or some far corner of the galaxy, or will they see a more fatal end? The X-Wings are coming. Star Wars Rebels will launch its fourth and final season this fall, and the most famous starfighters in the galaxy will finally make an appearance on Disney XD’s popular animated series. 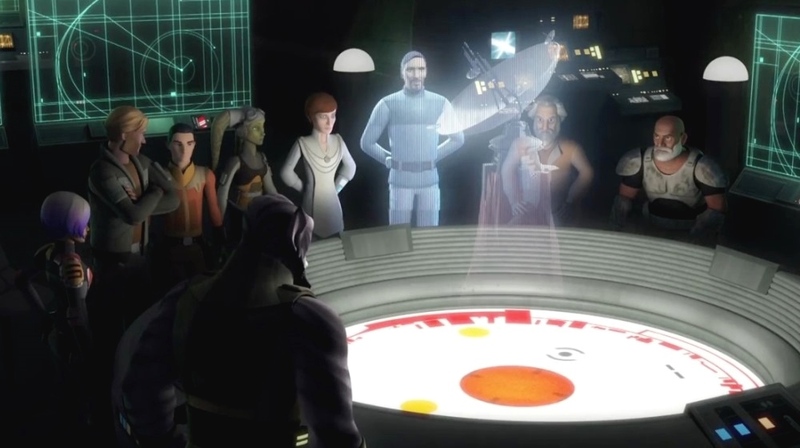 For three seasons, Rebels has followed the trials and triumphs of a small, tight knit group of freedom fighters – the crew of the starship Ghost – during the dark times of the Galactic Empire’s reign. 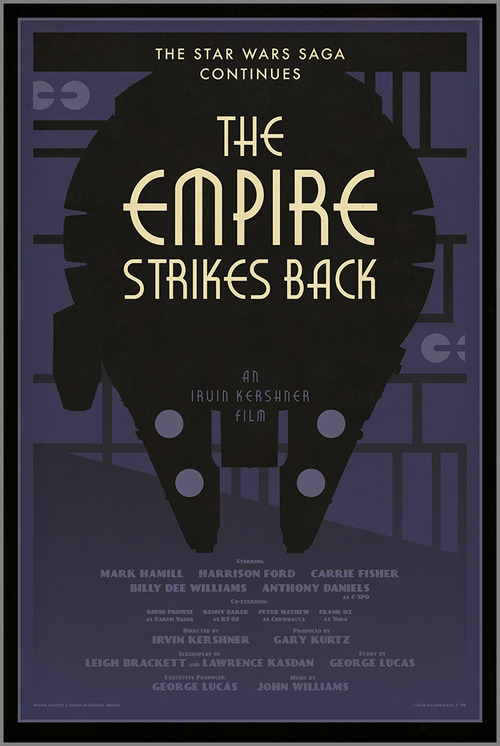 Set in the years immediately preceding the original Star Wars movie, it shows the Empire at its full strength as well as a burgeoning Rebel Alliance that seems hopelessly outmatched and outgunned. But the Rebellion is growing, with more oppressed citizens rallying to its cause every day, and with them come money, resources, technology, and weapons. Rebels has showcased a number of iconic Star Wars starships to date, including the Y-wing and the B-wing, but there have been no X-wing sightings – that will change this fall. Rebels co-executive producer Henry Gilroy made a surprise appearance at Friday’s Star Wars Rebels Fan Panel at DragonCon and, as reported by Star Wars Insider’s Bryan Young, told fans they can expect to see the iconic X-wings in action during the show’s final season. 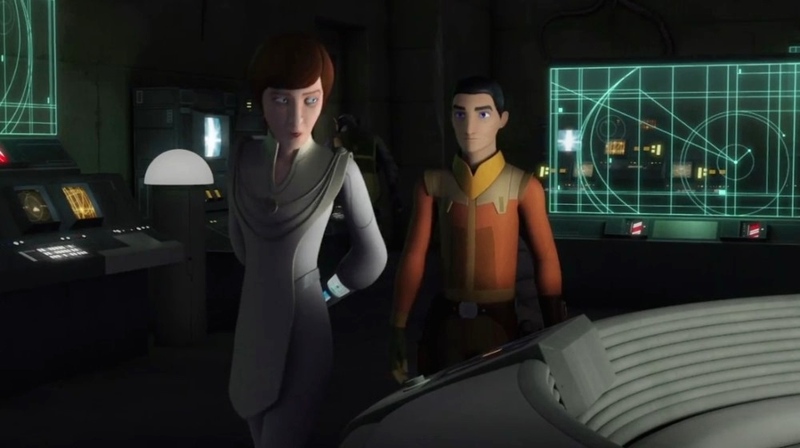 Gilroy additionally addressed why the starfighters hadn’t appeared on Rebels before season 4. We're getting X-Wings in season 4. Why did it take so long? "The Rebellion didn't have them yet." As Rebels nears its end (and the story inches ever closer to the events of Rogue One: A Star Wars Story and Episode IV: A New Hope, it will be intriguing to see how many ties to those films they can fit in. X-wings are one such reference, and one that is sure to be appreciated by Star Wars fans. The starfighters are instantly recognizable, even to those not intimately familiar with the franchise, and they’ll forever be known as the ship Luke Skywalker was piloting when he destroyed the Death Star. 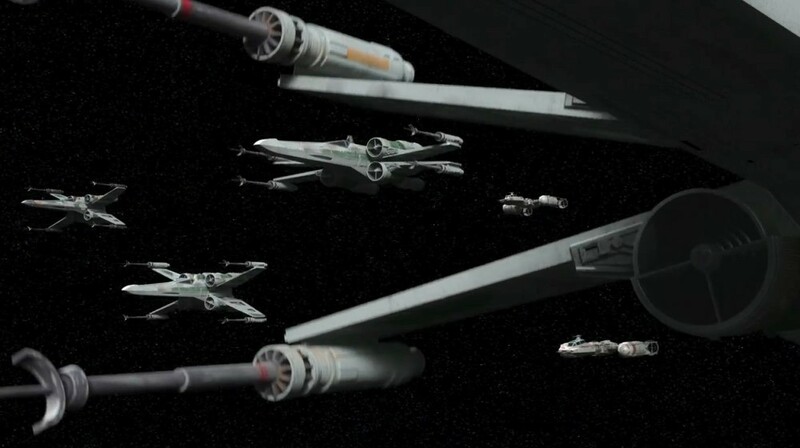 It remains to be seen exactly how X-wings will be introduced to the Star Warscanon on Rebels. 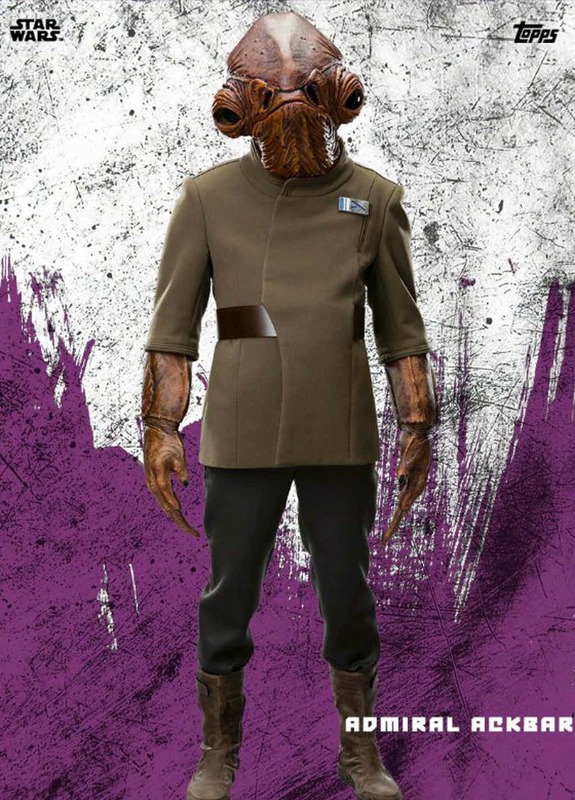 In the episode “Wings of the Master,” B-wings were revealed to be the brainchild of a brilliant Mon Calamari engineer, so perhaps the Rebel Alliance will make a deal with another talented ship designer. Wherever the X-wings come from, it will be exciting to see them fly into battle against the Empire when Rebels launches its final season. Despite a name drop in the recent trailer, don’t expect to see Director Orson Krennic in the upcoming season of Star Wars Rebels. The Disney XD animated series is gearing up for its jam-packed final season with the Ghost Crew finally stepping on a bigger stage, now closely working with the bigger Rebellion squad that we know from the original trilogy. Ahead of its October premiere, a brand new trailer for Rebels has been released providing a fresh look at the final year of the gang’s adventures. 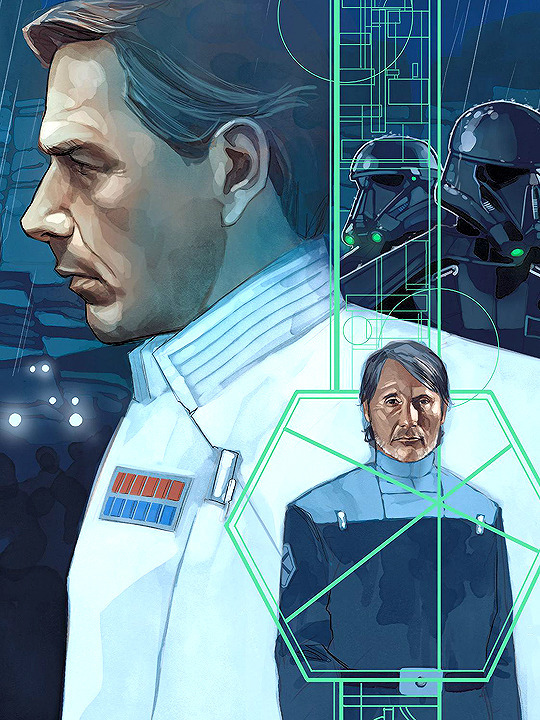 Along with the heroes on various missions – including a major arc on Mandalore – we also got a set up of the events of Rogue One: A Star Wars Story; the Death Star project “Stardust” gets namedropped as the brainchild of Director Krennic. However, that doesn’t mean we’ll get to see Ben Mendelsohn’s character and Rebels‘ main bad, Grand Admiral Thrawn, meet. 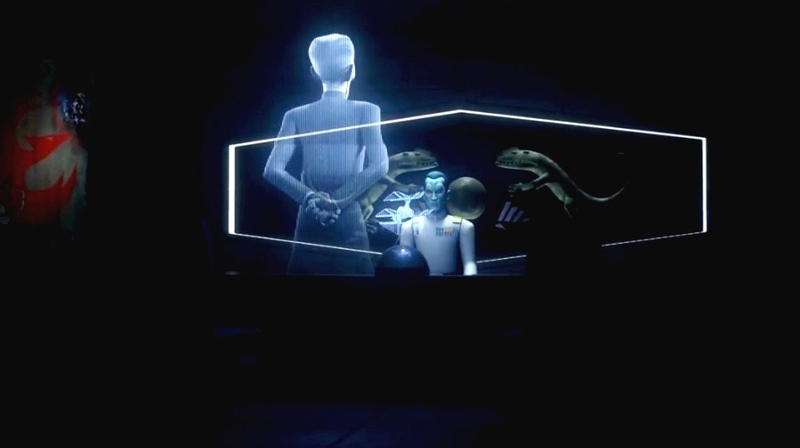 Grand Admiral Thrawn and Grand Moff Tarkin discuss about Director Orson Krennic and his project “Stardust” in the new trailer for Star Wars Rebels Season 4. Animated Gifs: Tumblr. Not featuring Krennic in the last season of Rebels removes any hope of deeper exploration in visual media – he died at the end of Rogue One, so is unlikely to return in any future films. That said, the Imperial general’s story has already been fairly fleshed out thanks to the novel Catalyst: A Rogue One Story, so there’s not any gaping hole needing filling. And as Filoni says, the Ghost crew have a lot on their hands. On top of dealing with the Empire’s retaliation, Star Wars Rebels Season 4 is also expected to dive deep on the characters’ individual storyline. 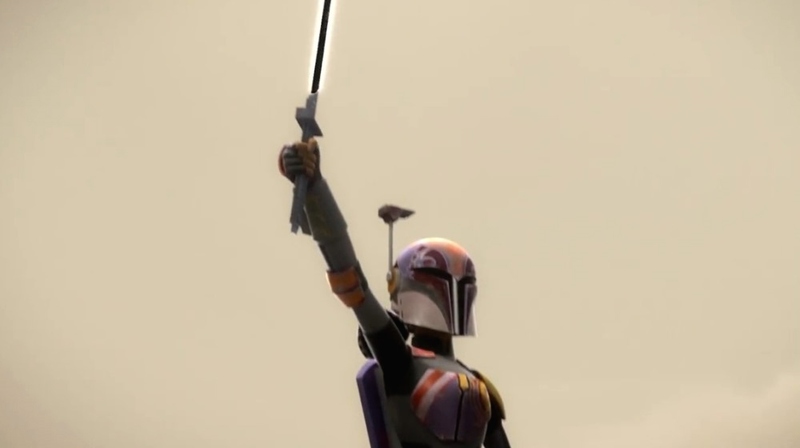 The trailer features Sabine wielding the Darksaber in order to unite her Mandalorian people. It also finally addresses the long-rumored romantic relationship between Hera and Kanan. While Ahsoka’s whereabouts still remains a mystery, Filoni’s previous teases make us believe that her ultimate fate will be revealed before the show wraps up. Star Wars Rebels Season 4 premieres on October 16th.